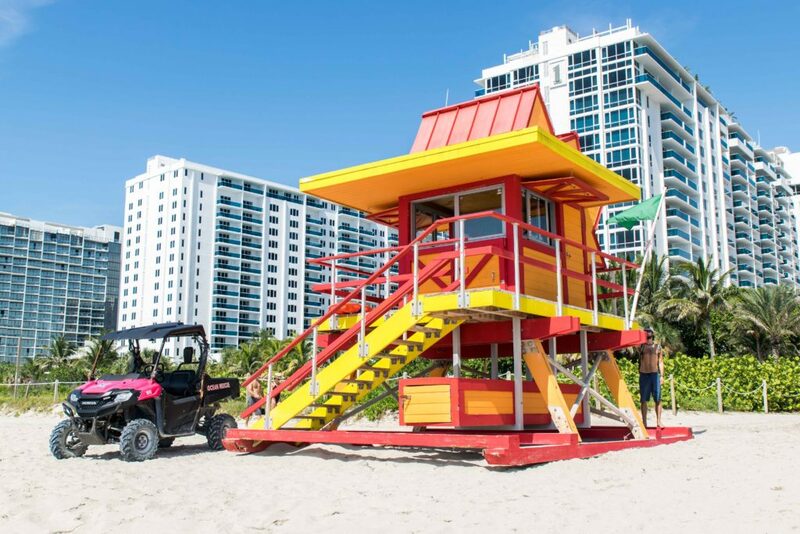 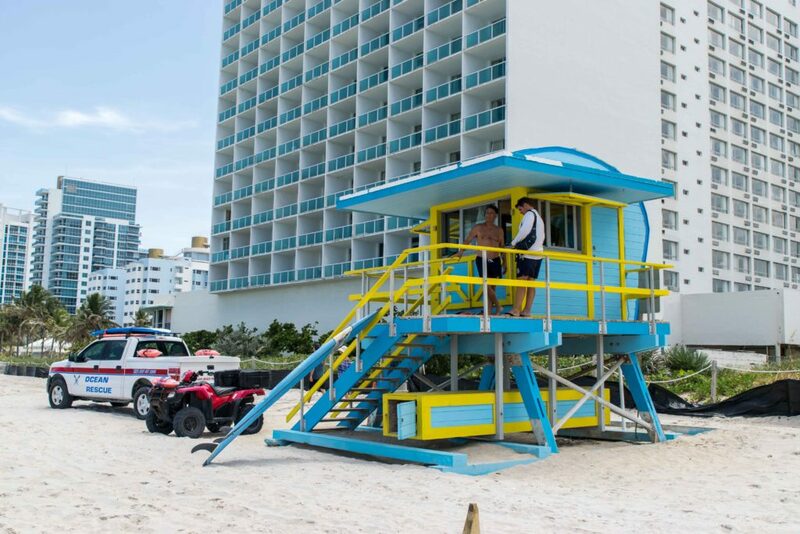 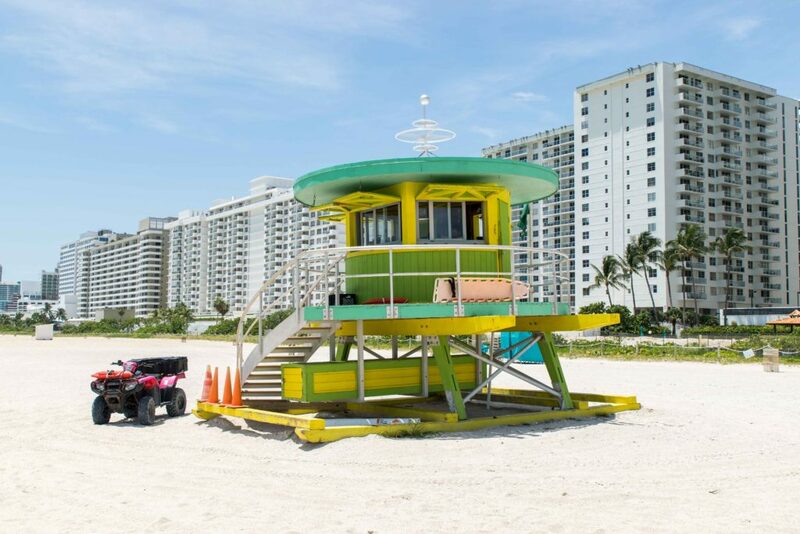 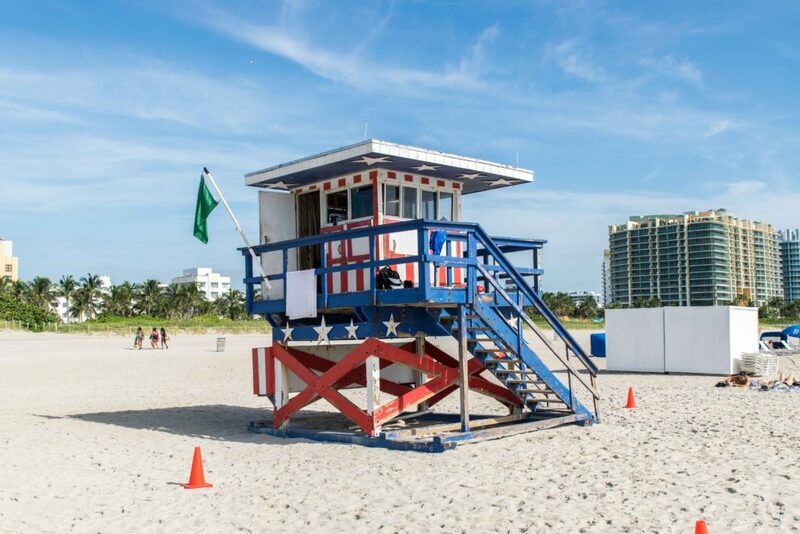 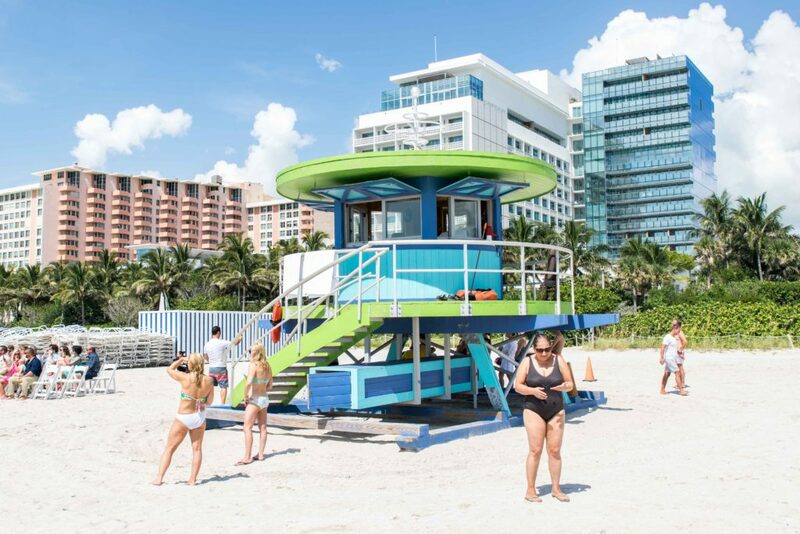 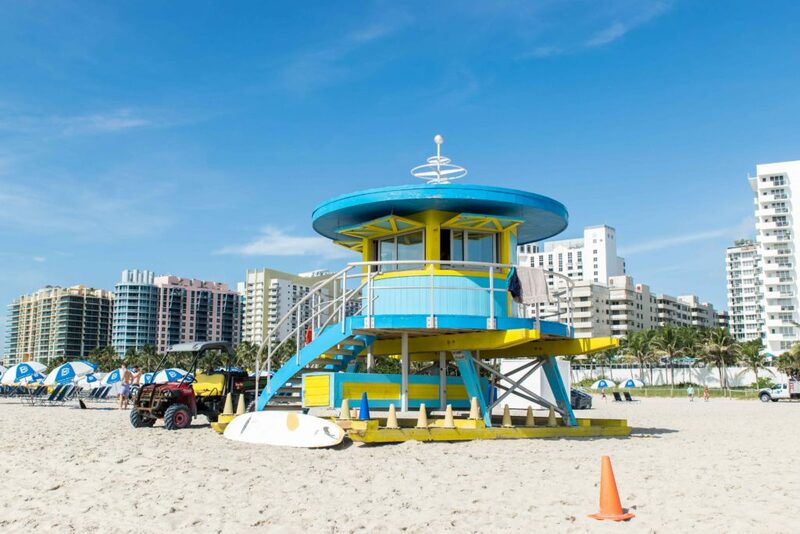 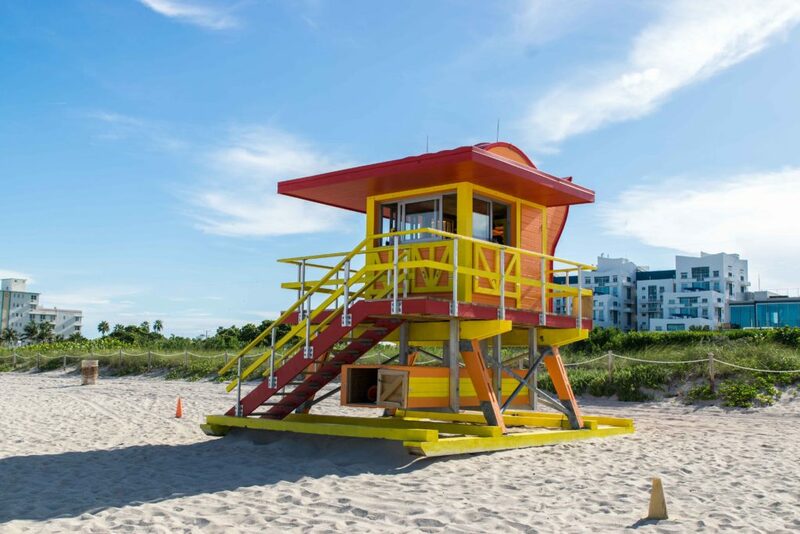 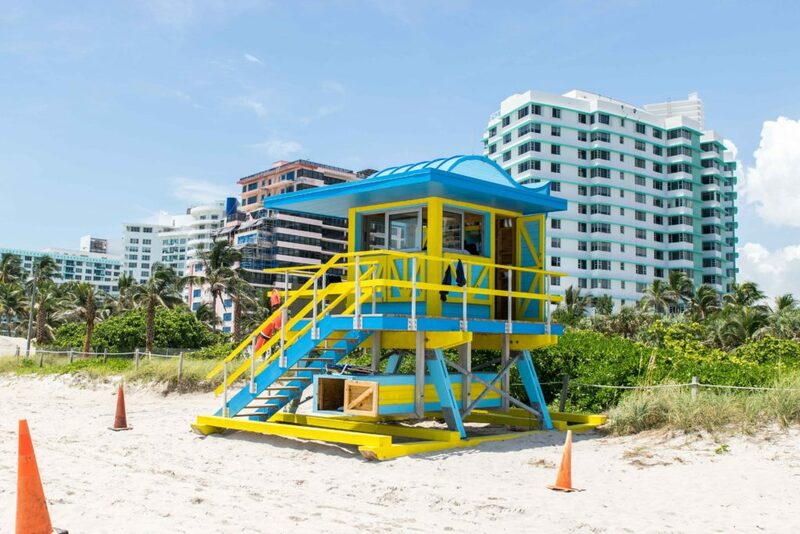 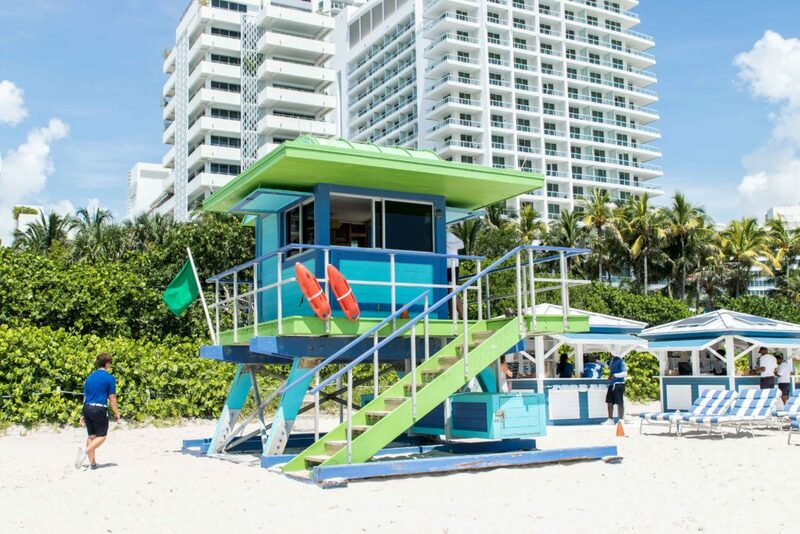 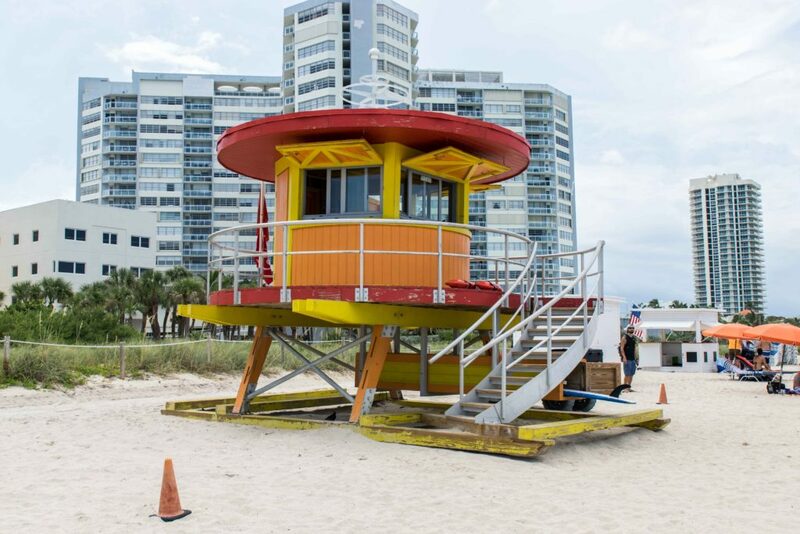 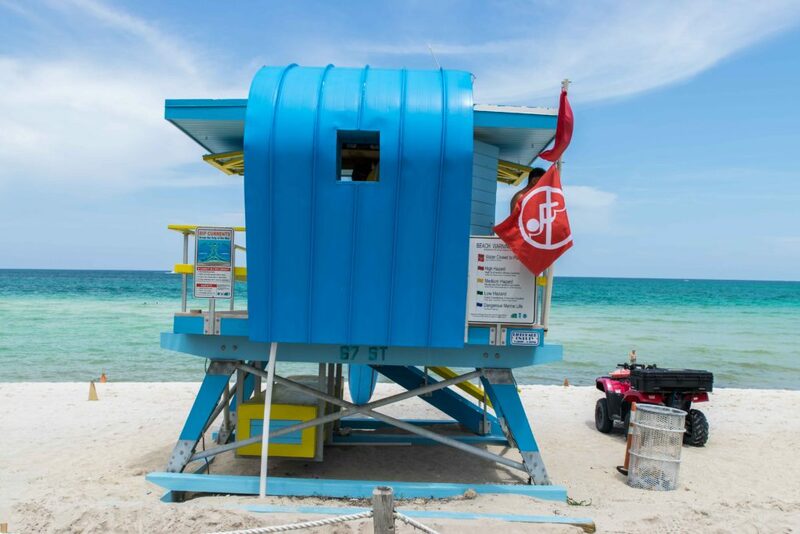 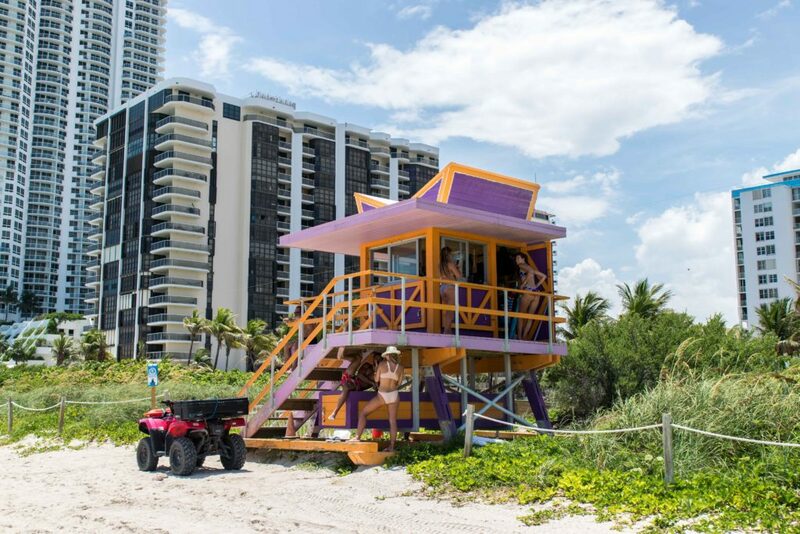 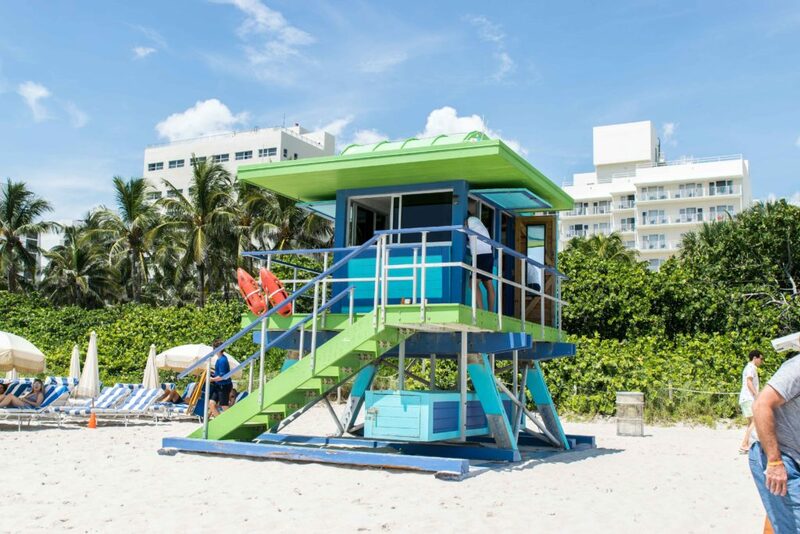 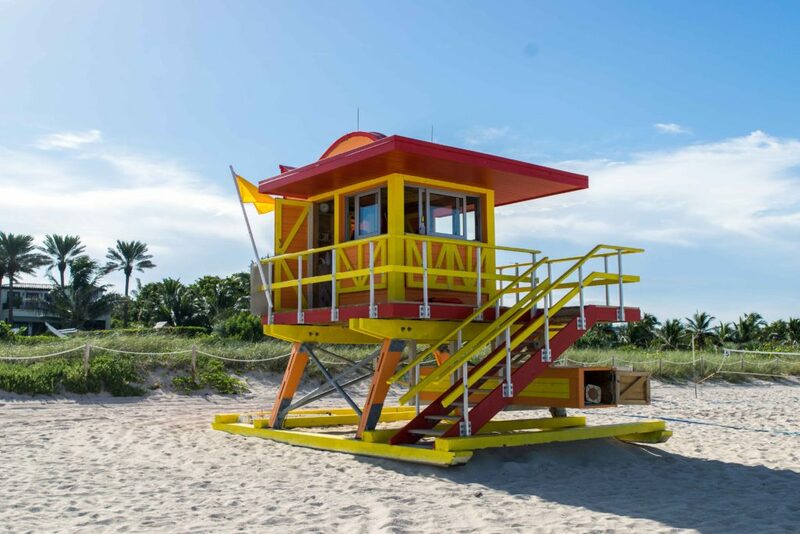 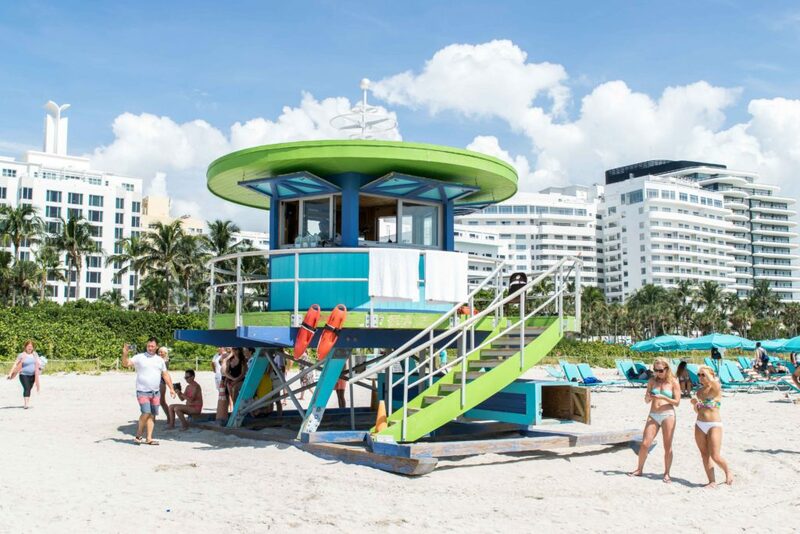 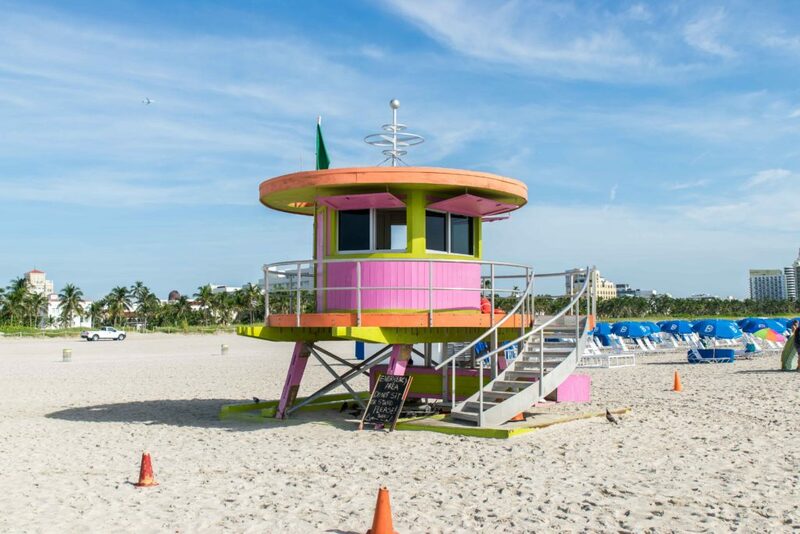 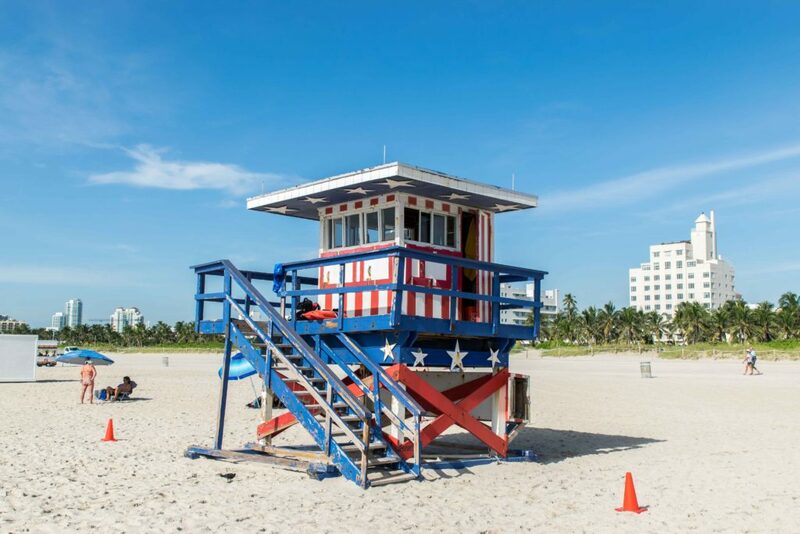 Miami Beach lifeguard towers are famous all around the world! 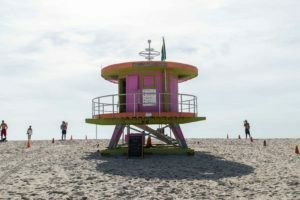 People come from different countries to see them, photograph them and pose on them. 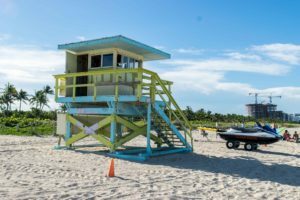 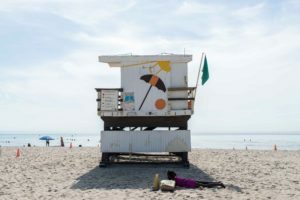 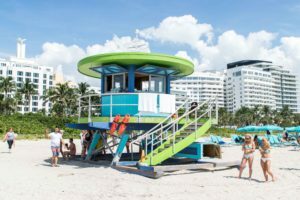 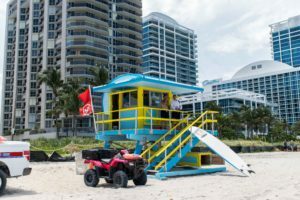 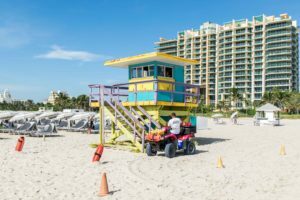 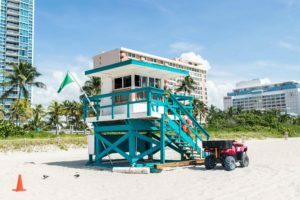 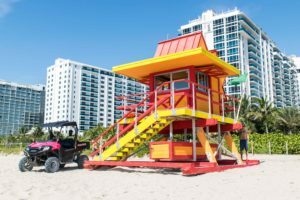 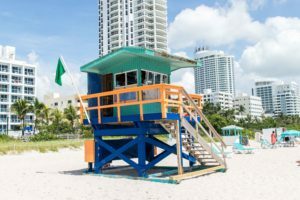 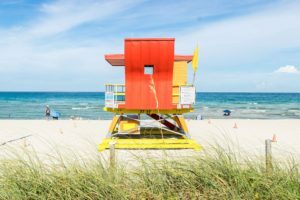 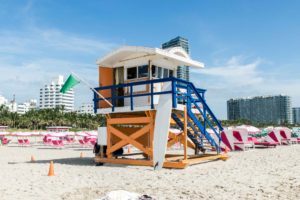 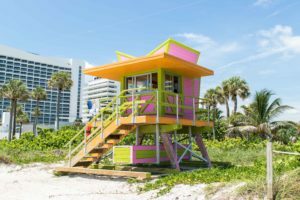 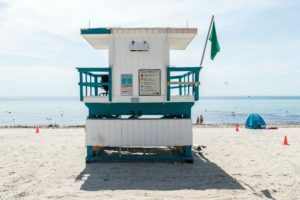 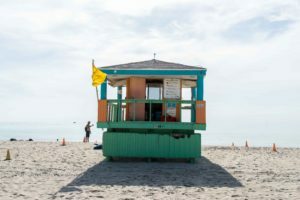 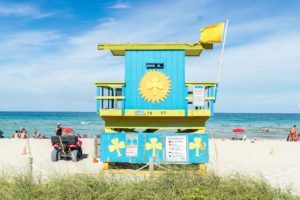 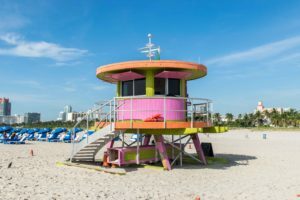 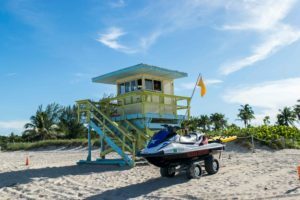 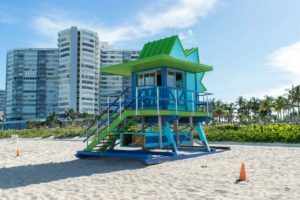 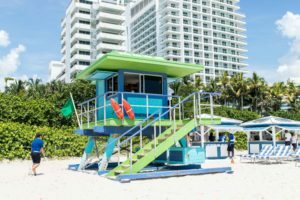 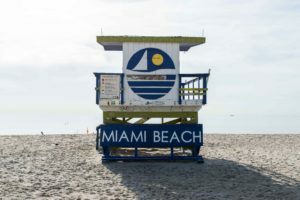 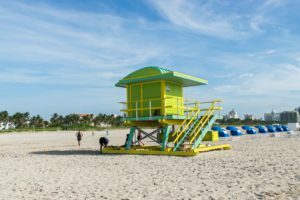 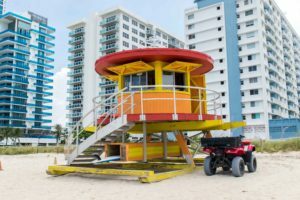 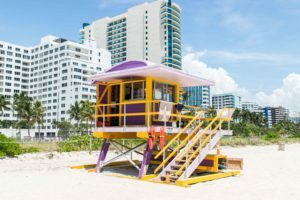 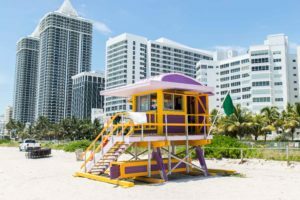 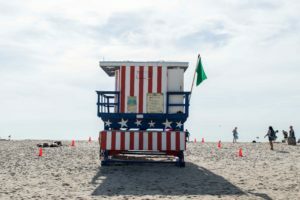 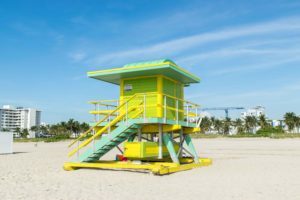 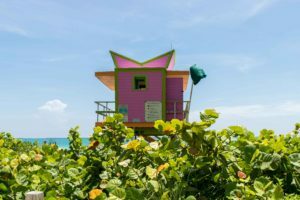 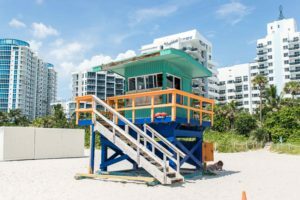 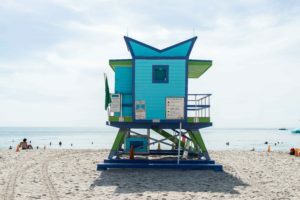 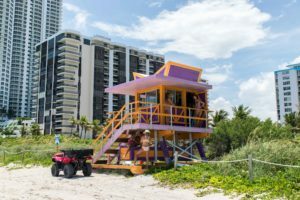 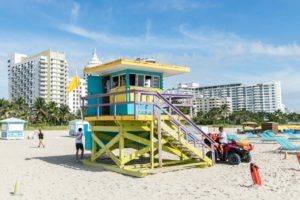 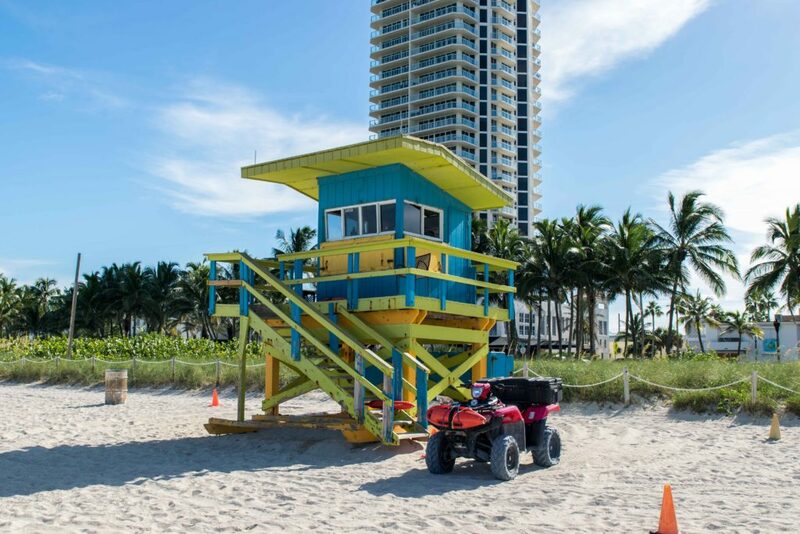 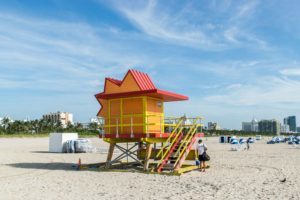 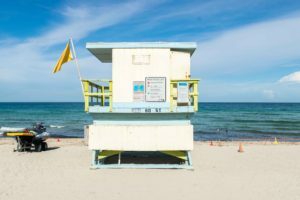 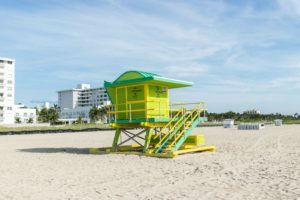 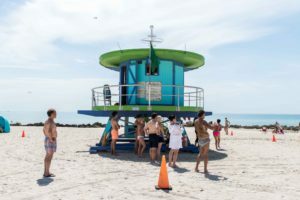 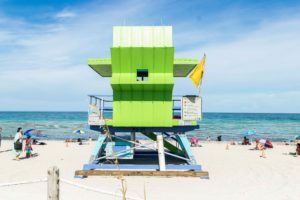 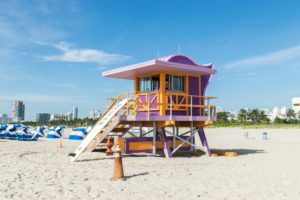 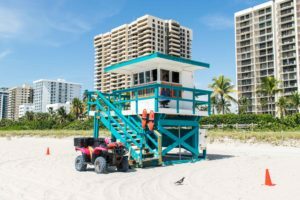 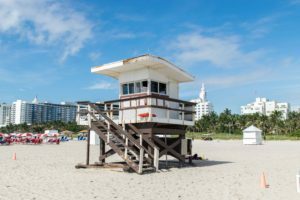 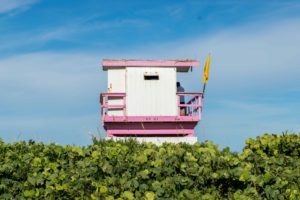 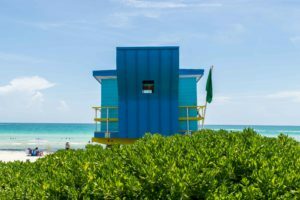 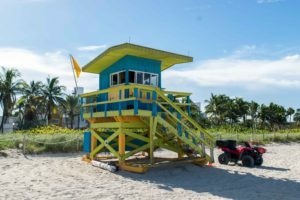 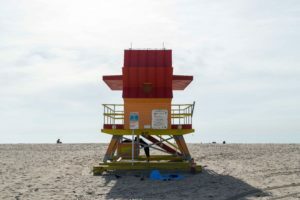 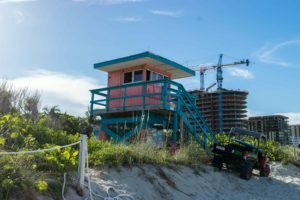 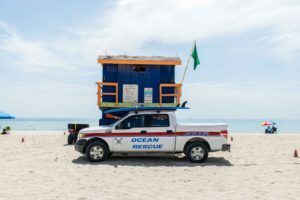 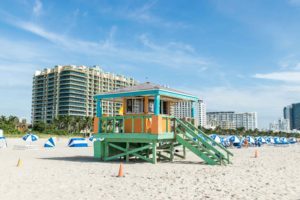 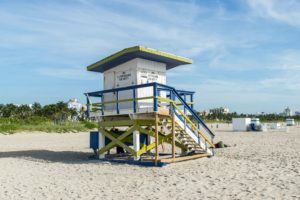 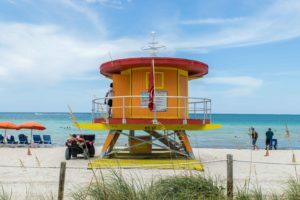 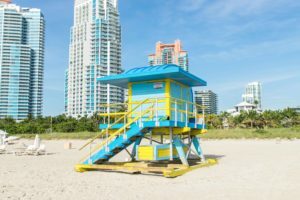 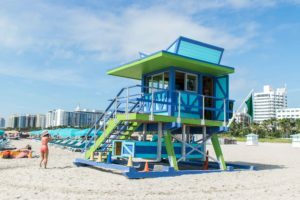 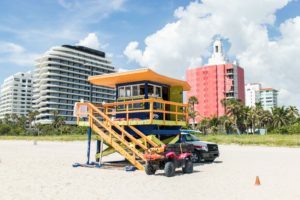 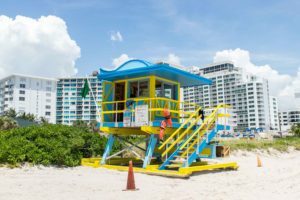 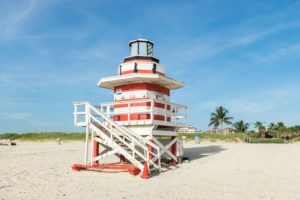 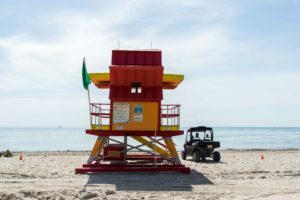 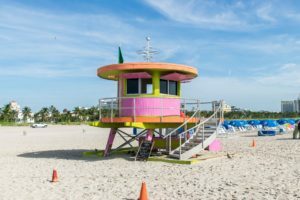 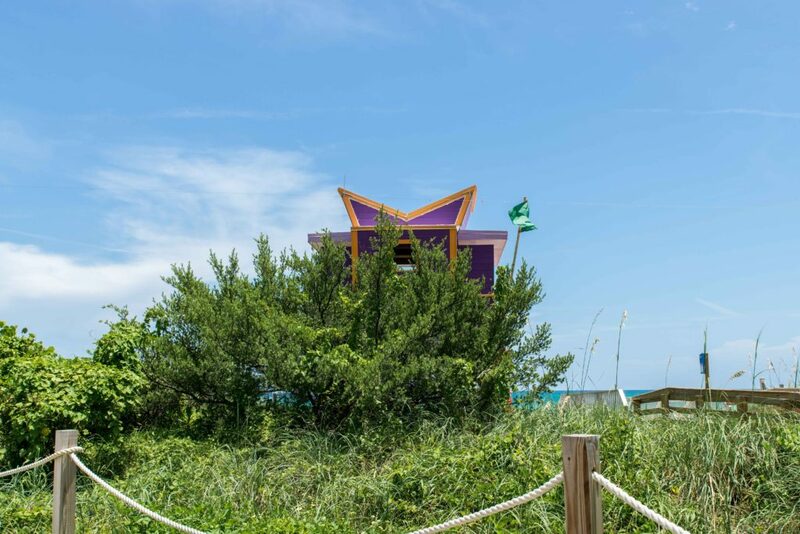 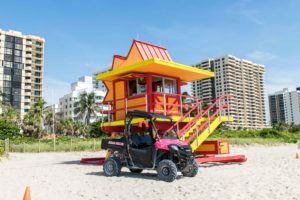 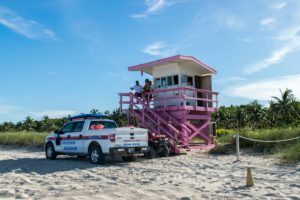 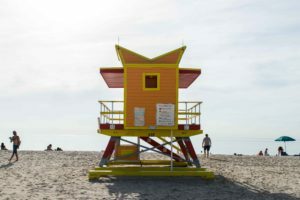 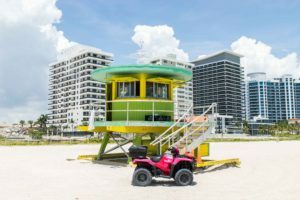 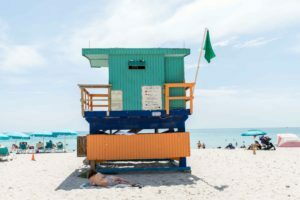 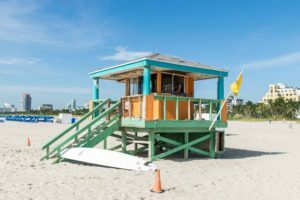 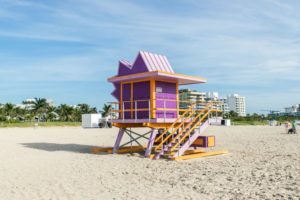 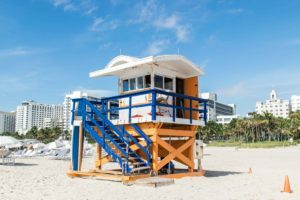 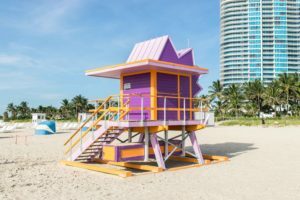 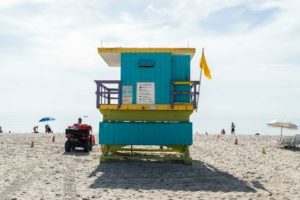 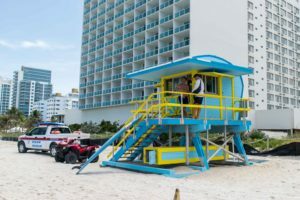 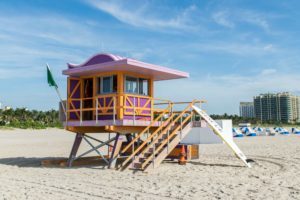 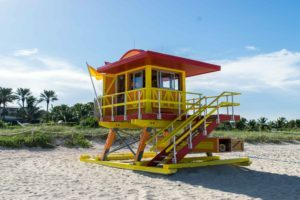 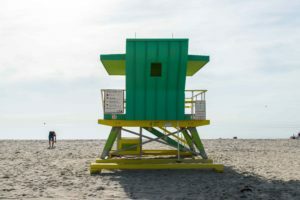 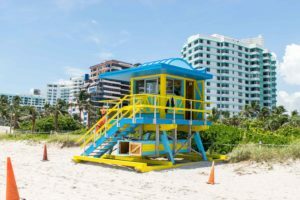 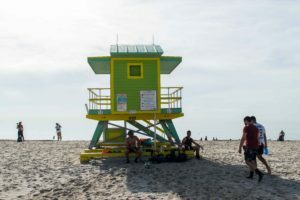 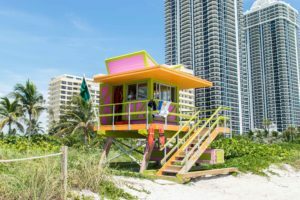 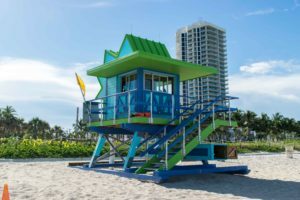 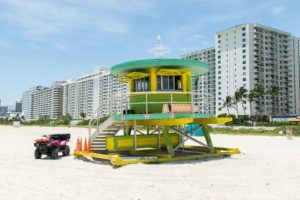 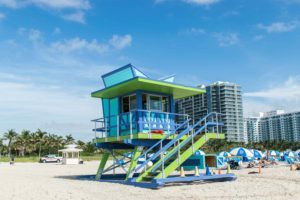 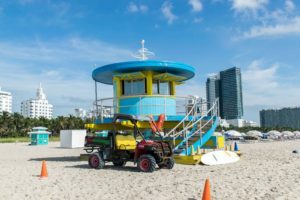 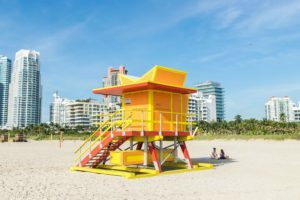 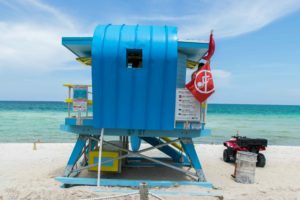 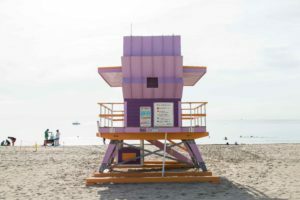 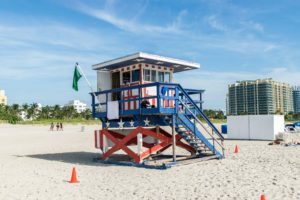 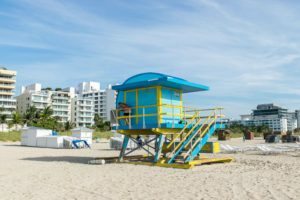 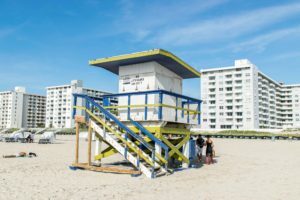 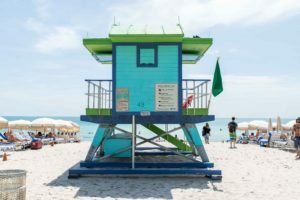 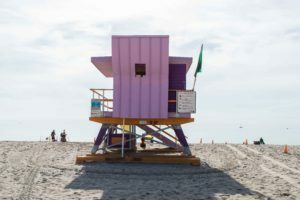 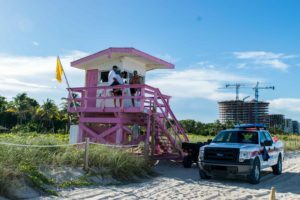 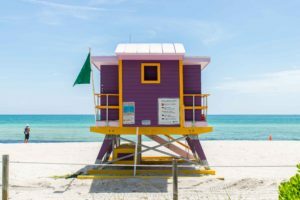 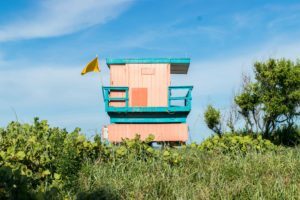 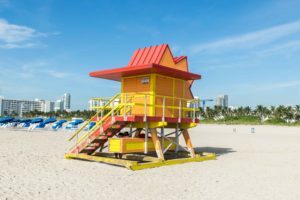 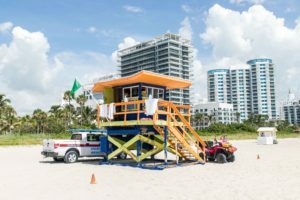 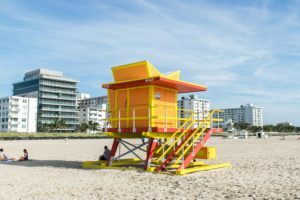 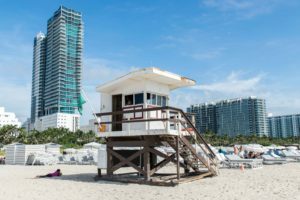 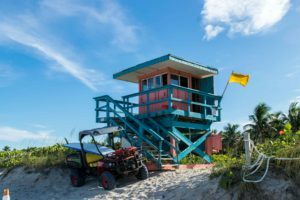 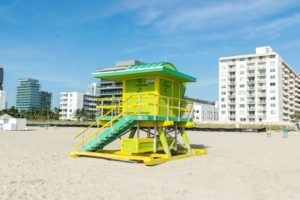 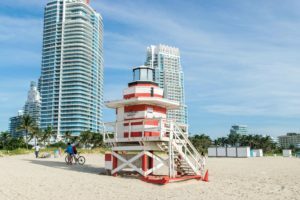 So I thought I would do a blog post showing you all 36 Miami Beach lifeguard towers and tell you exactly where each one is. 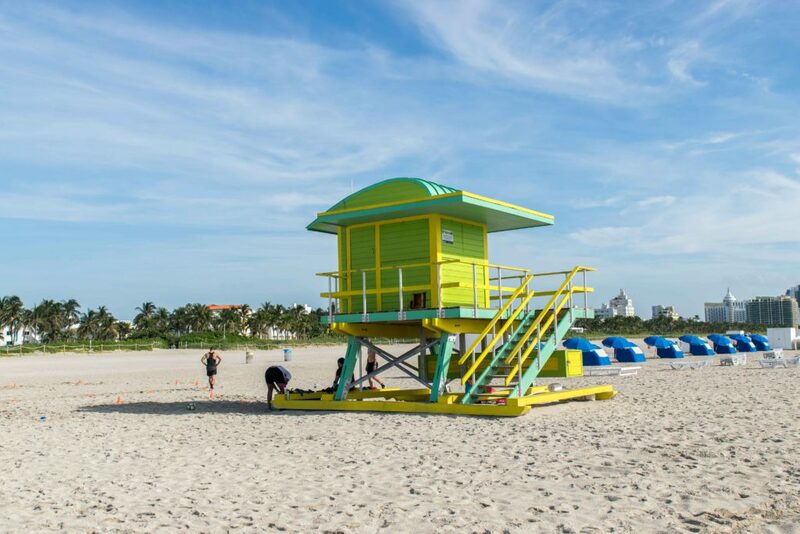 On August 11th 2018, my husband and I walked from South Beach on 1st all the way up to North Beach on 85th. 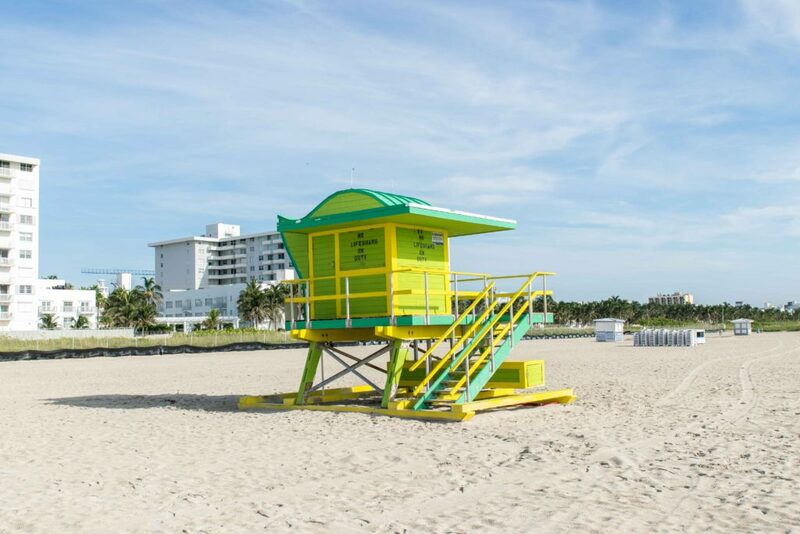 It took us most of a day to complete as we started at around 9am and finished at maybe 5 or 6pm. 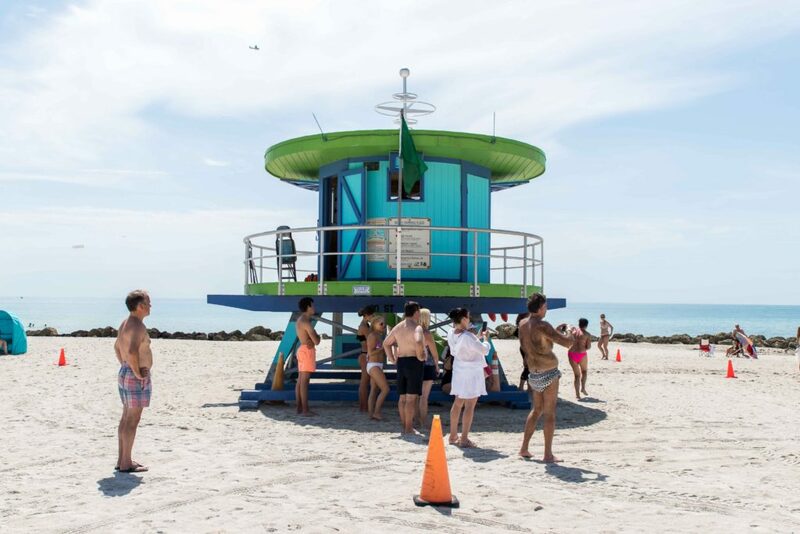 Stupidly we decided to do this in the middle of summer, in the middle of the day! 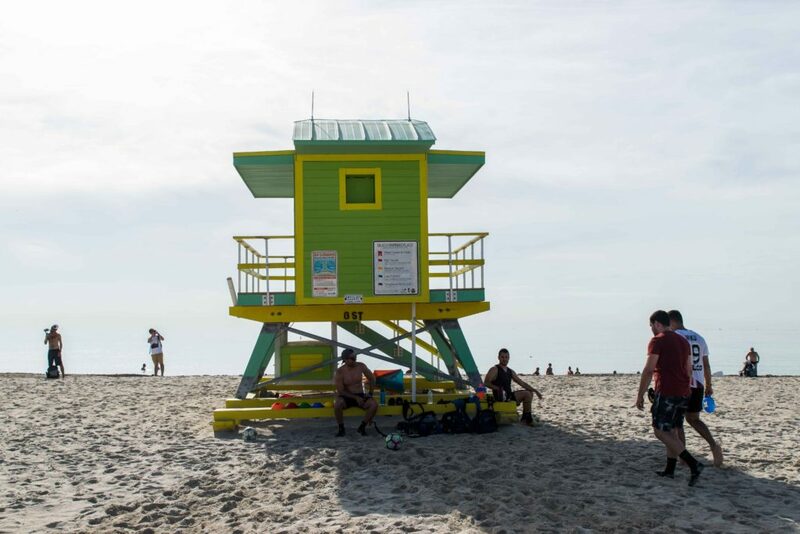 To say it was hot is an understatement. 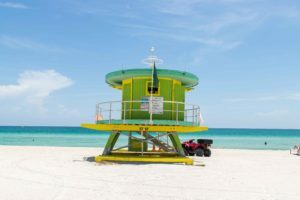 We stopped for lunch along the way and for a little swim, but other than that we were walking on the sand & on the path the whole time. 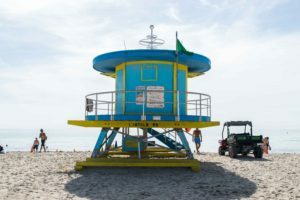 I am so glad we did this, however, 2 days after we did this long walk, the city of Miami Beach replaced several lifeguard towers with new ones! 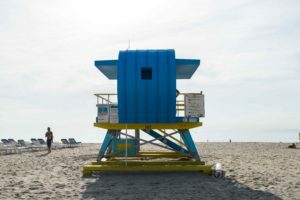 So, I think we might have to do this all again before we leave in November! 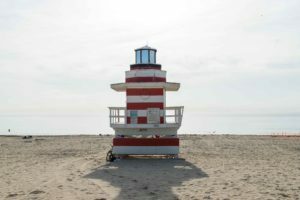 Anyway, this is what we saw this time, even though some of these are no longer there! 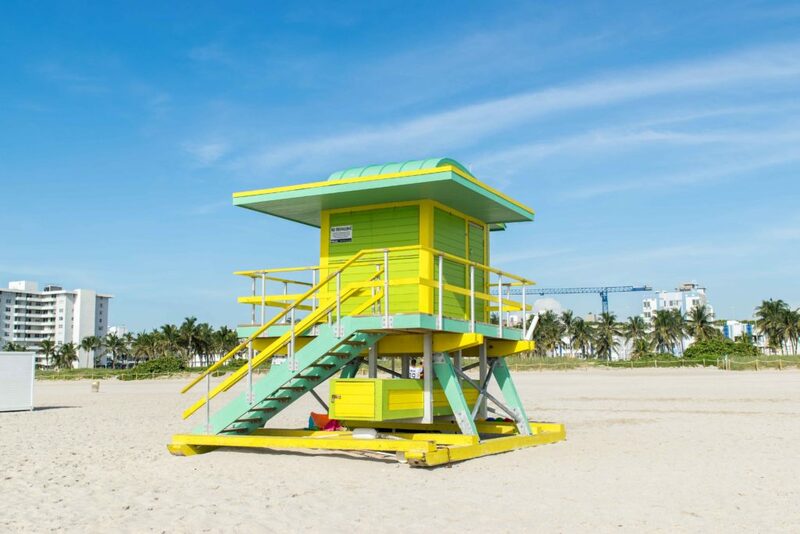 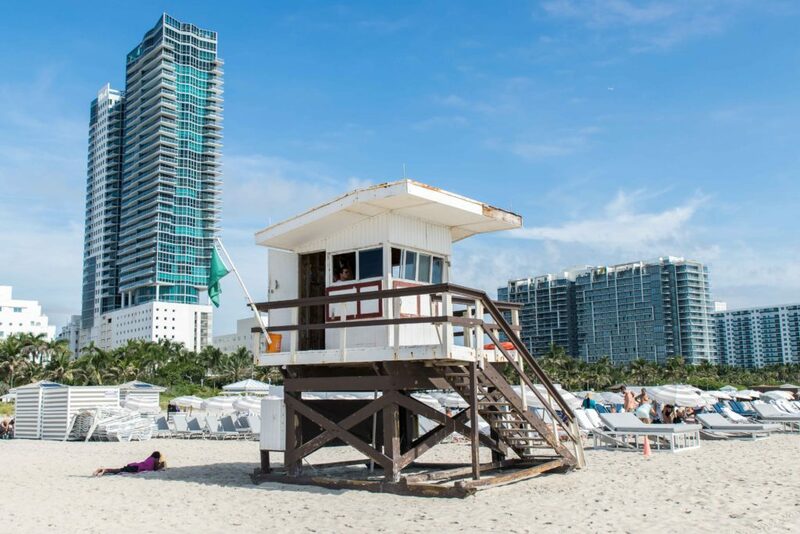 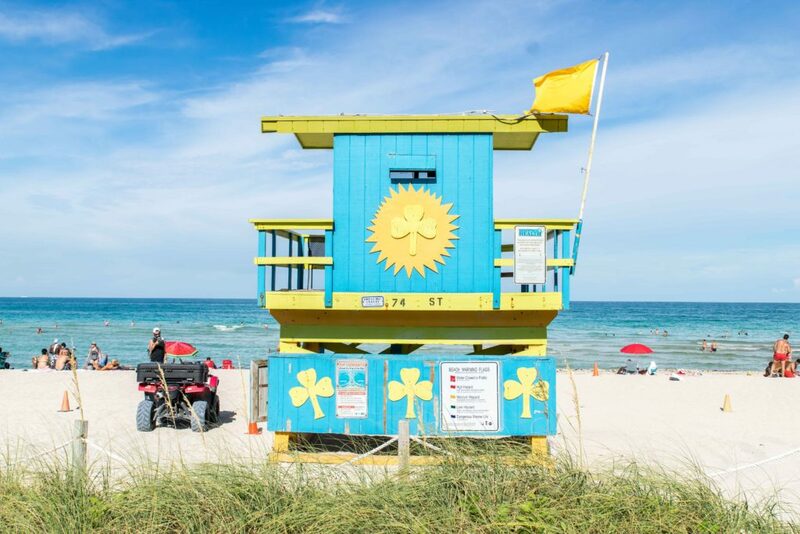 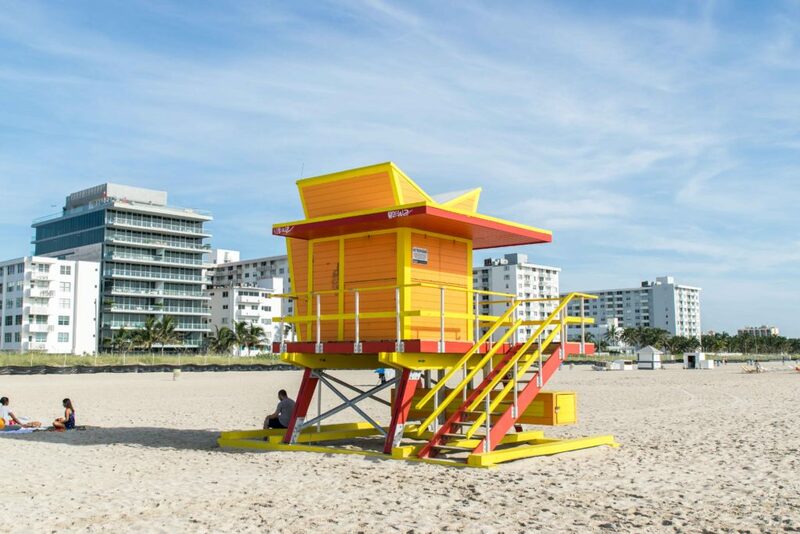 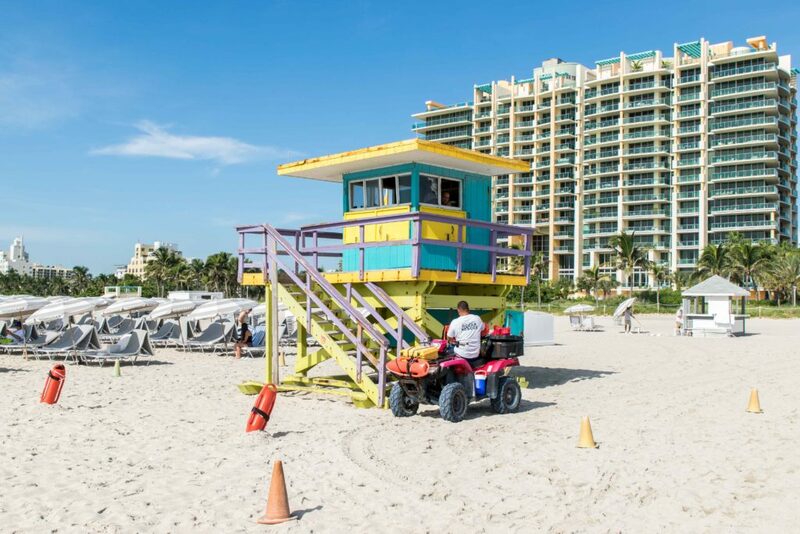 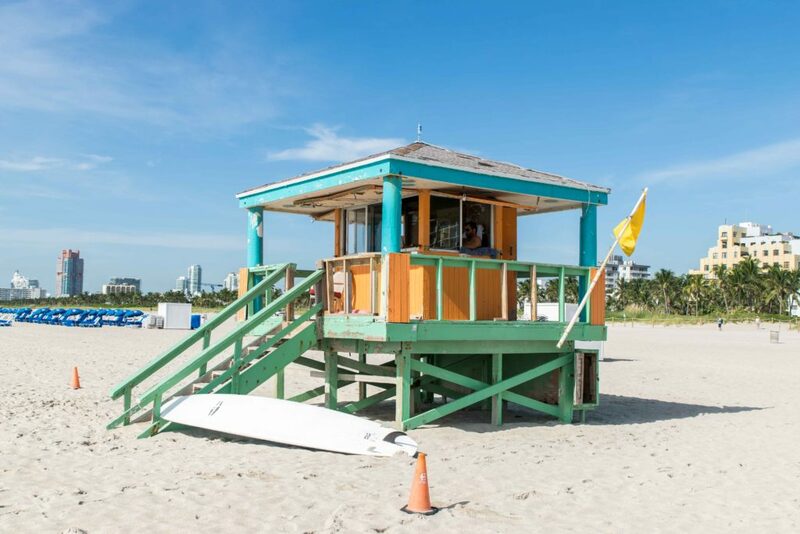 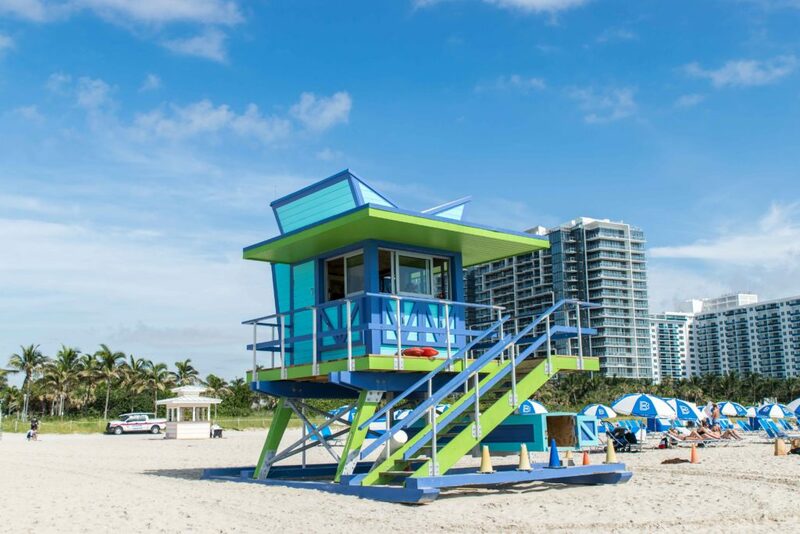 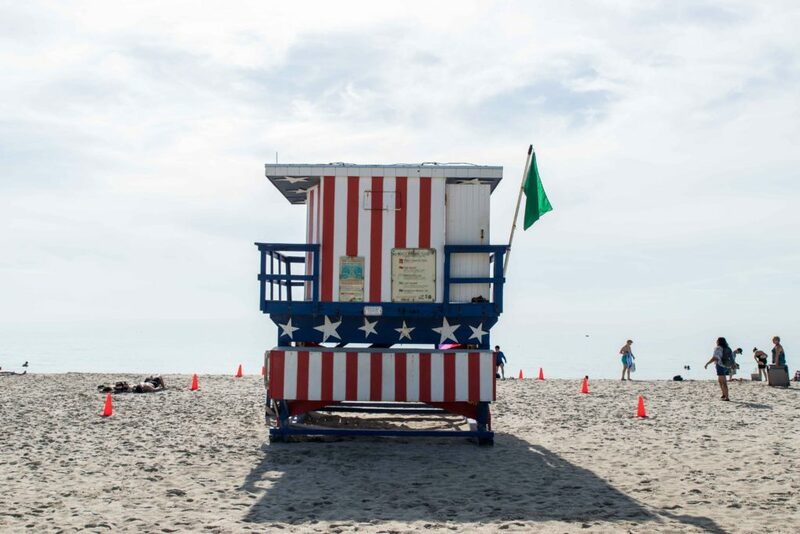 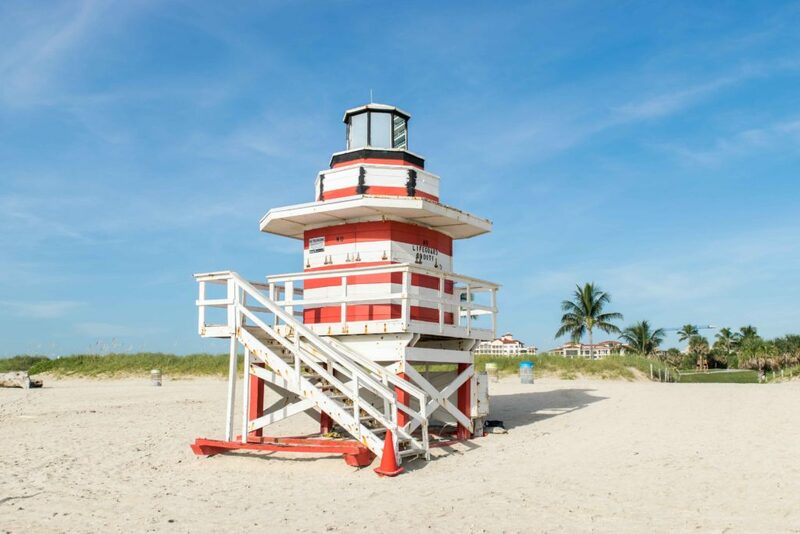 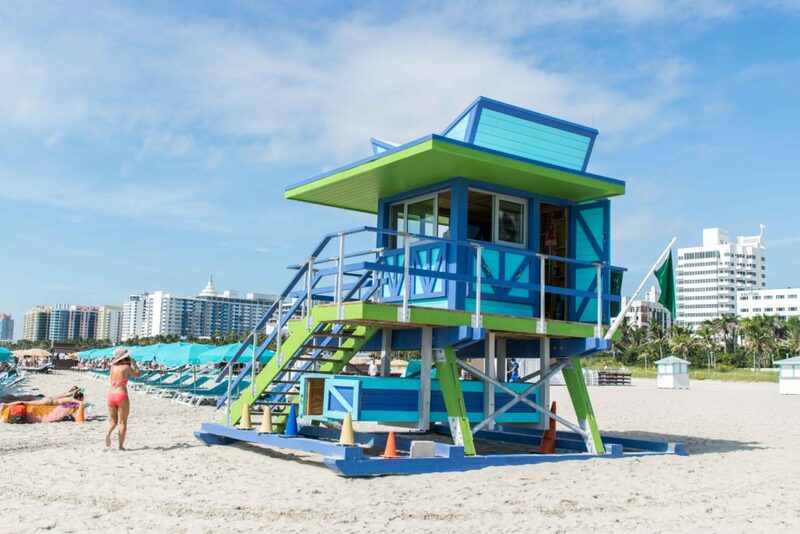 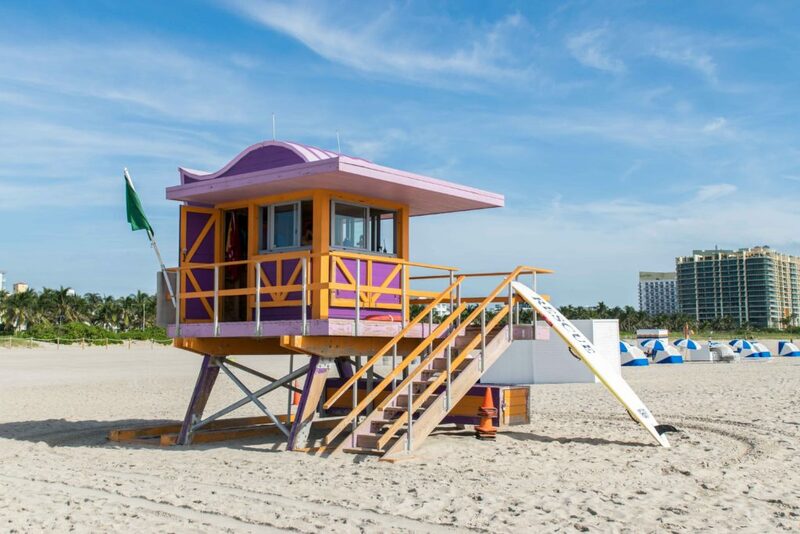 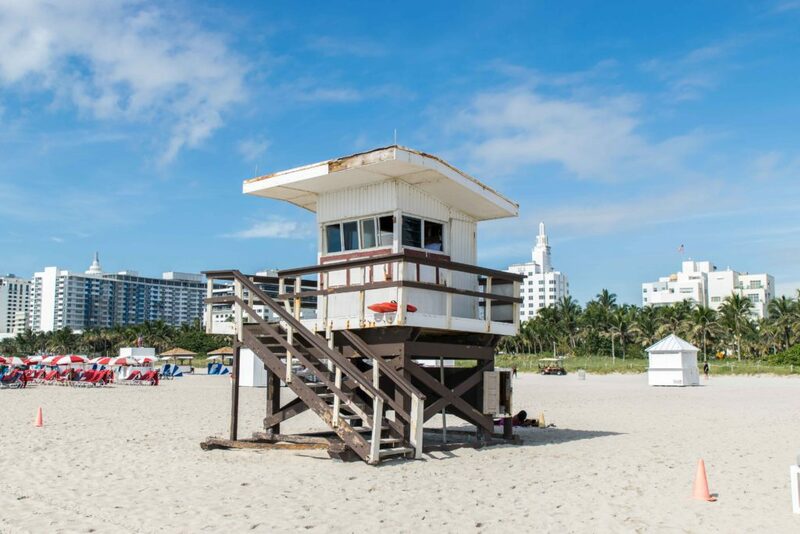 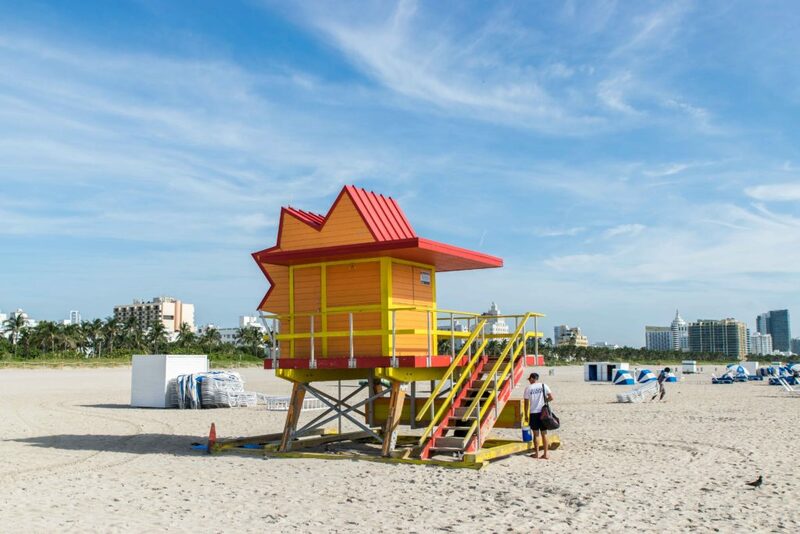 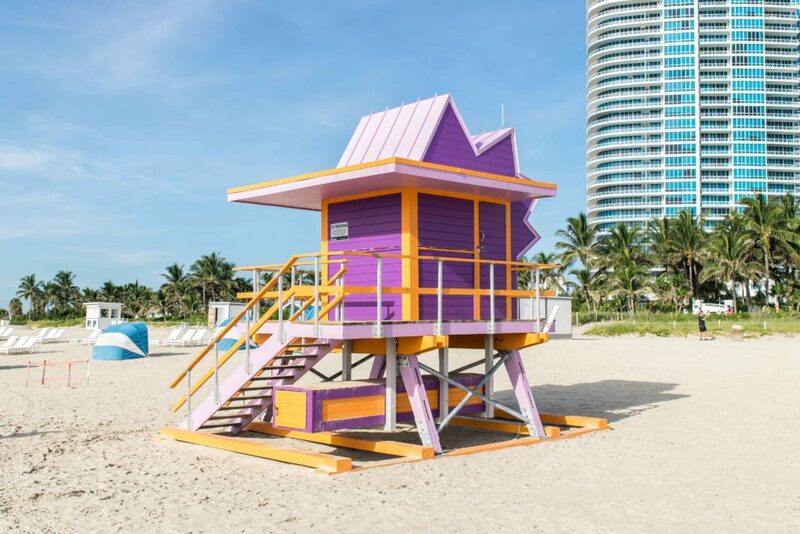 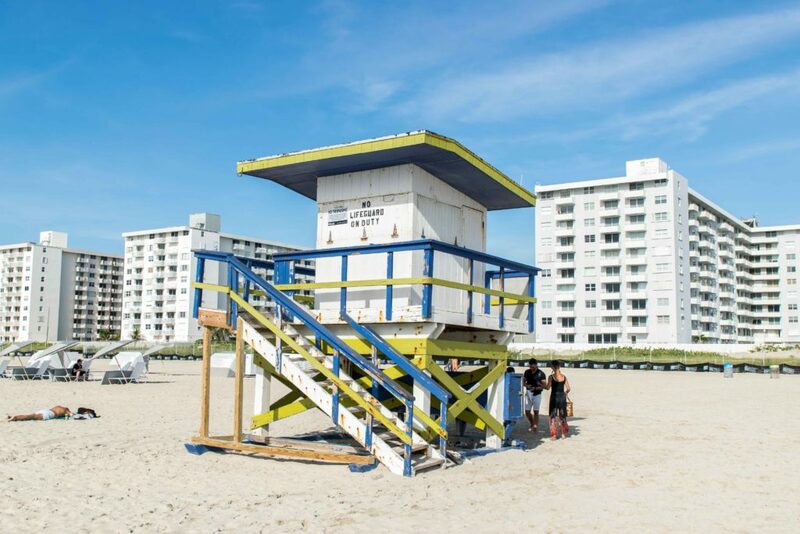 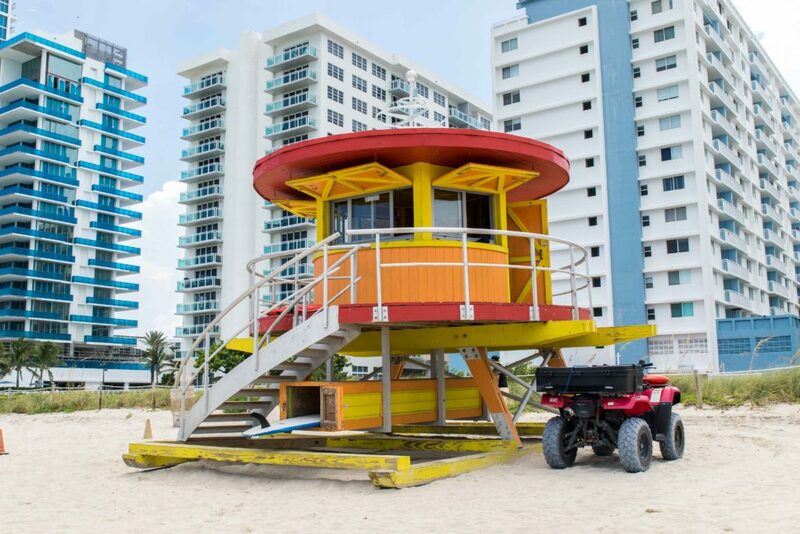 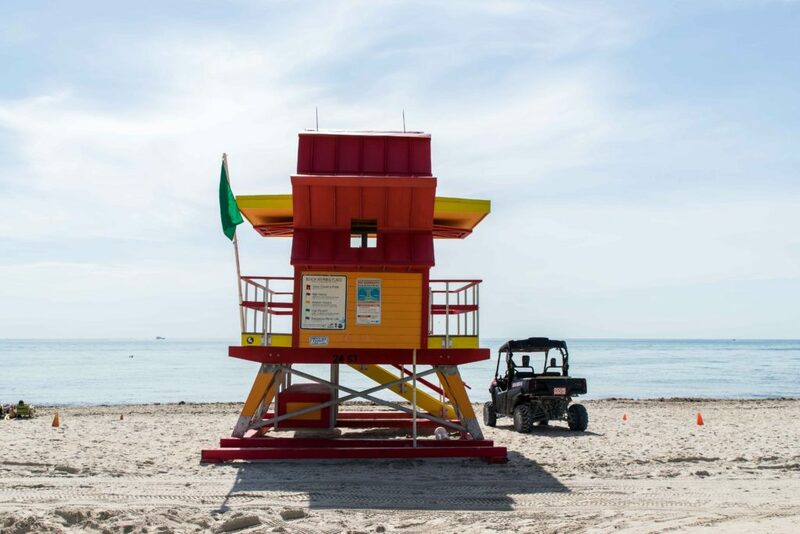 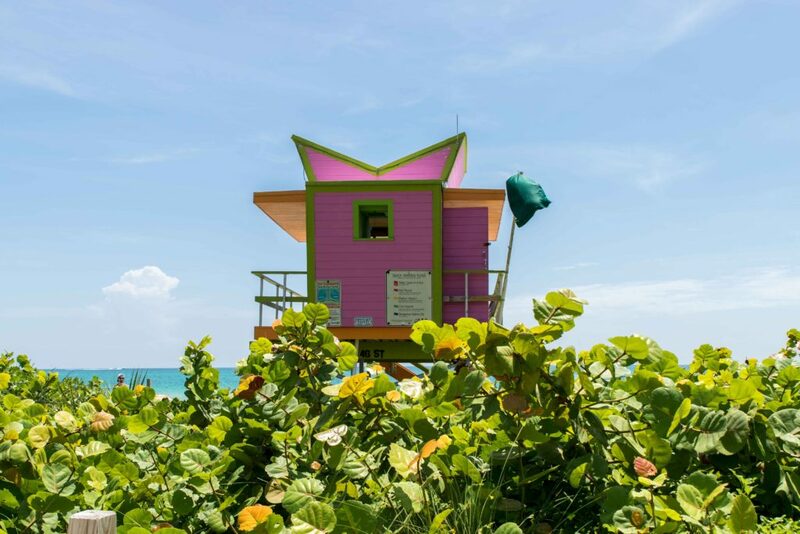 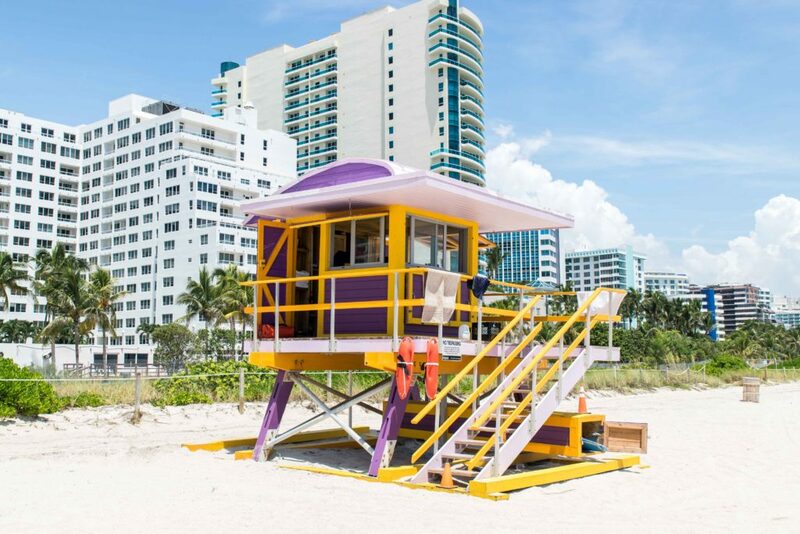 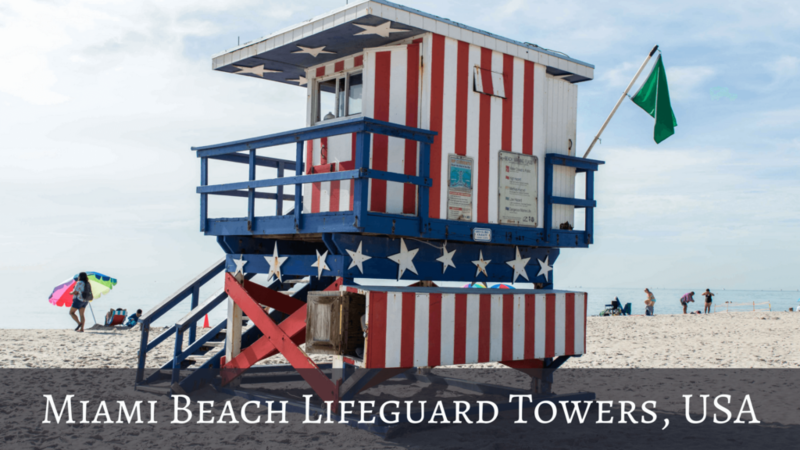 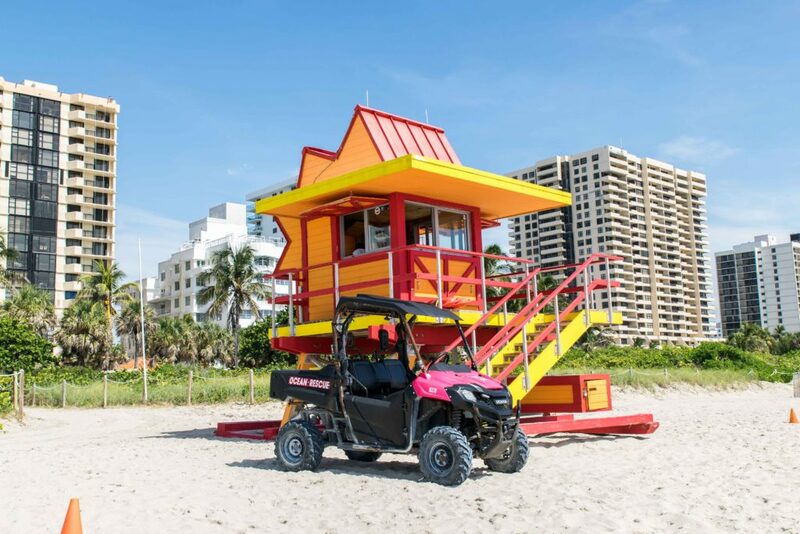 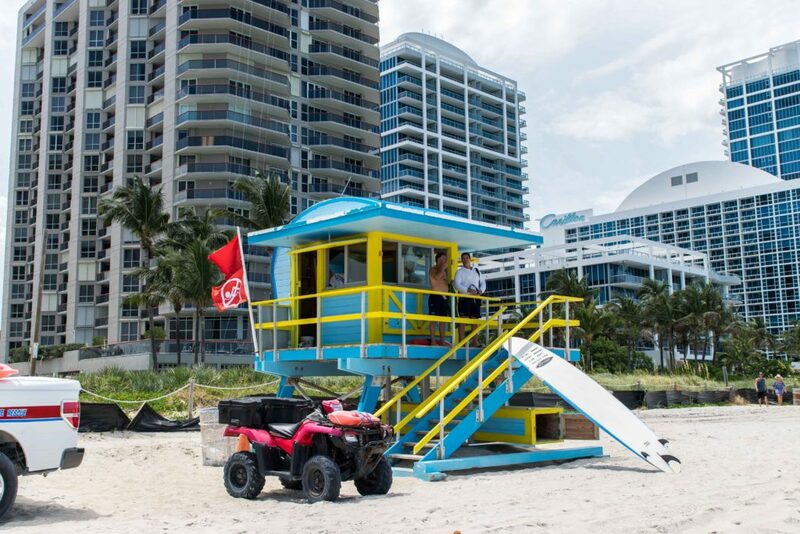 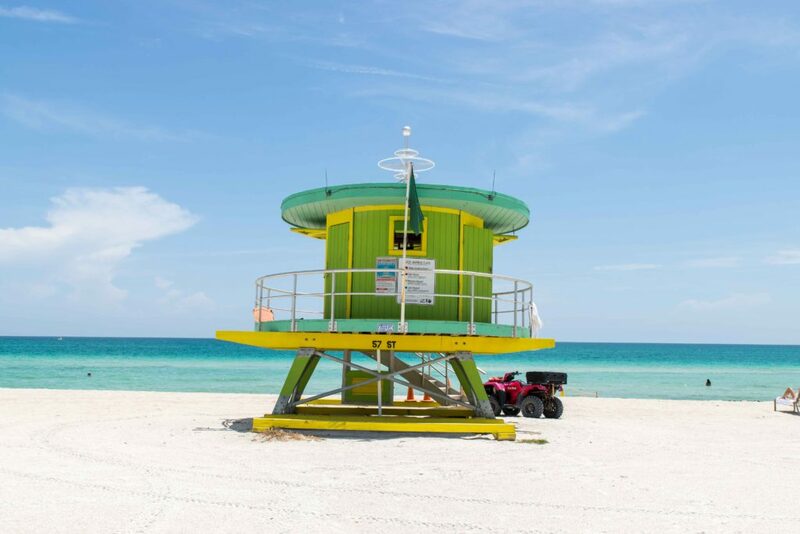 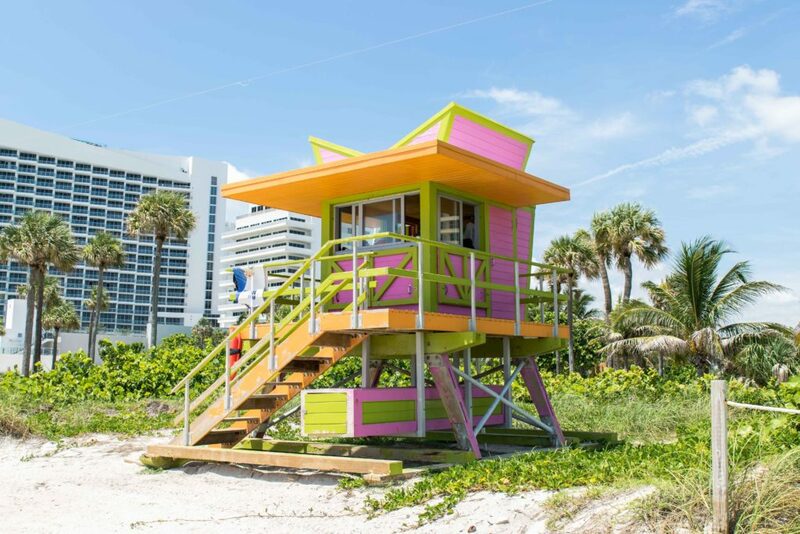 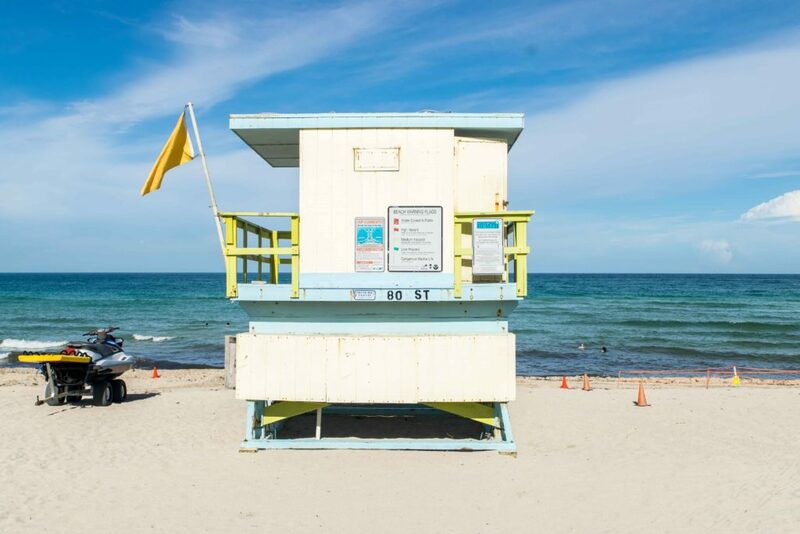 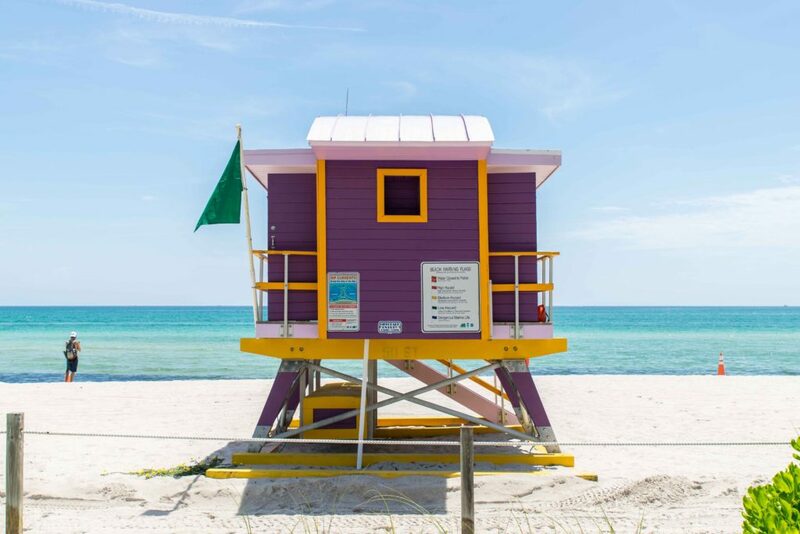 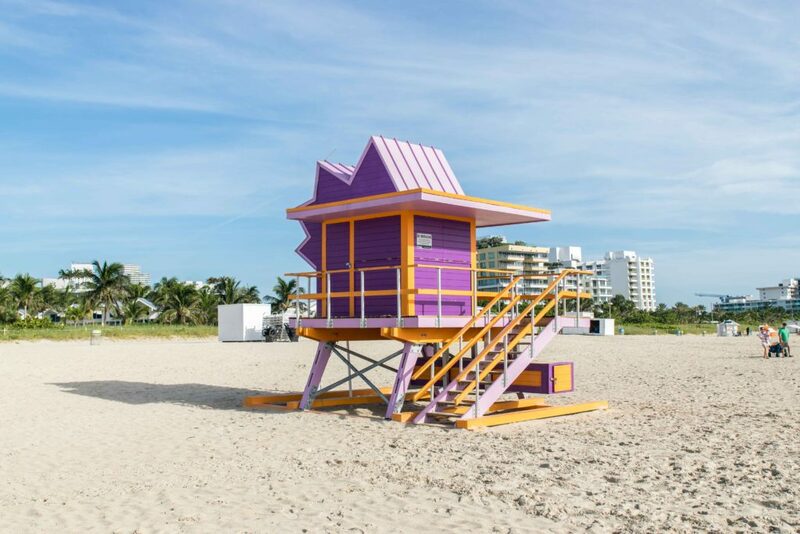 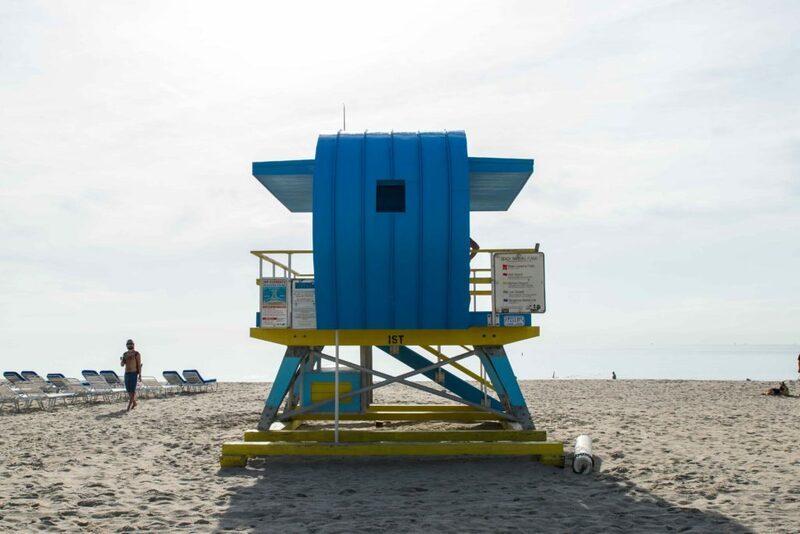 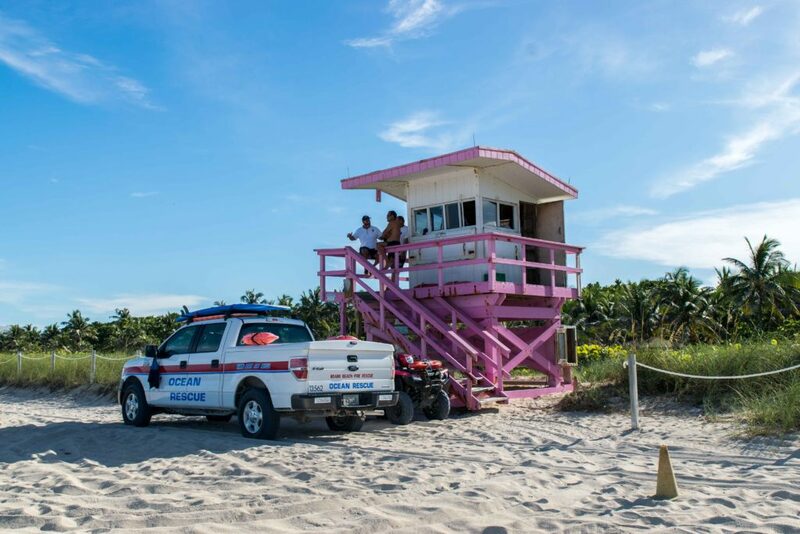 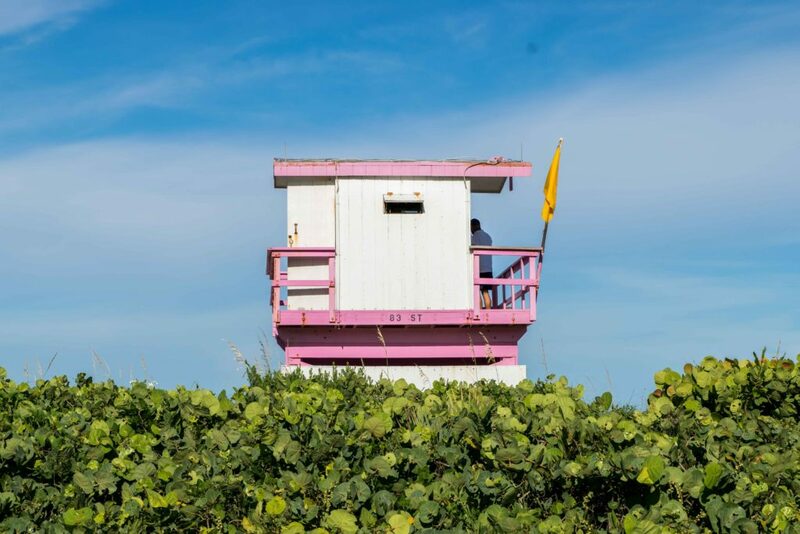 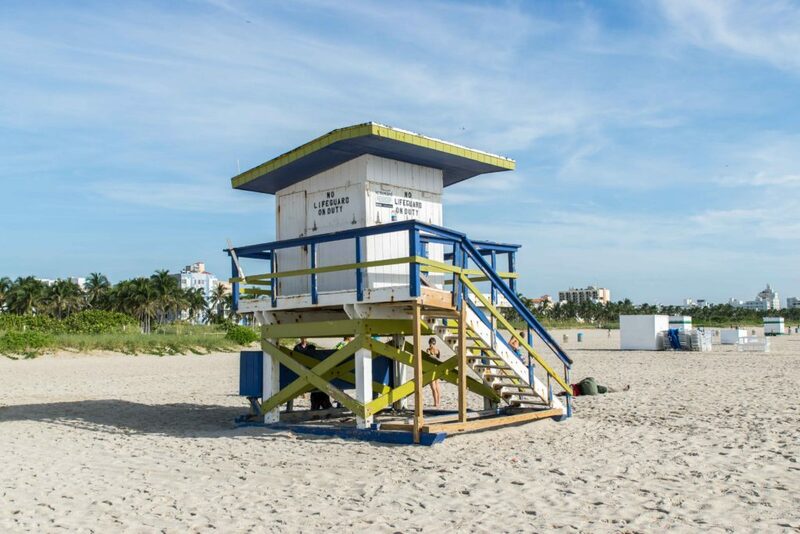 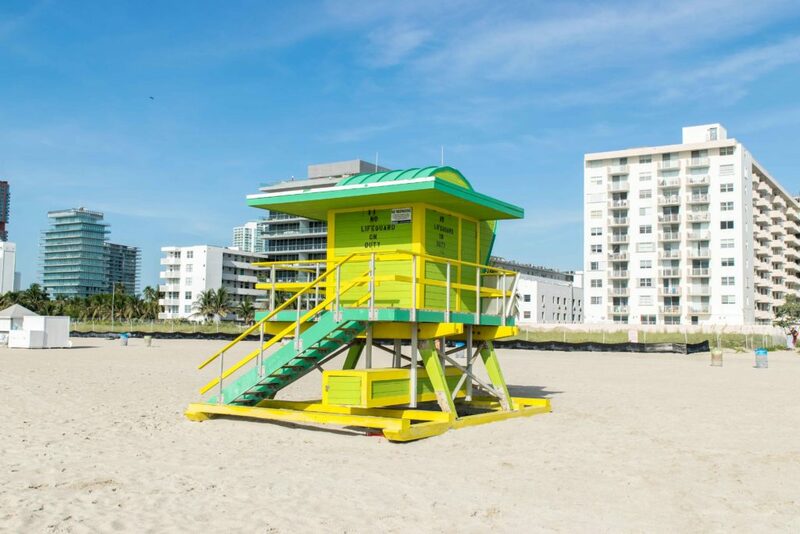 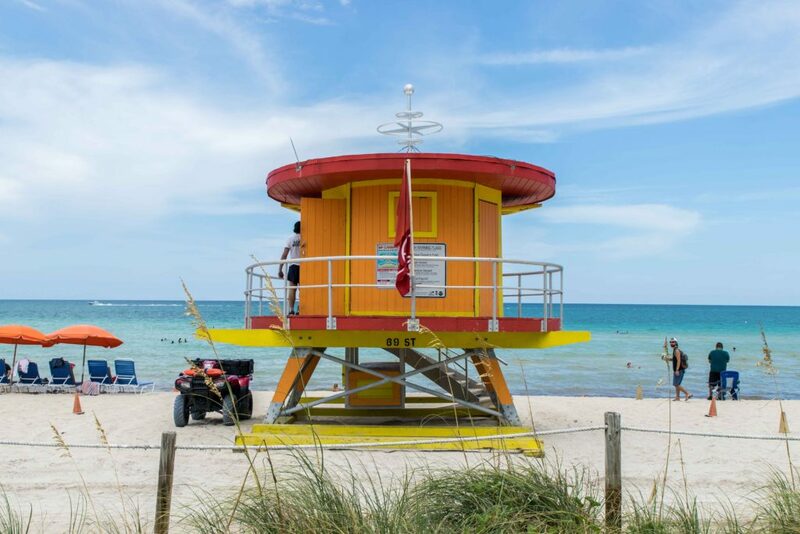 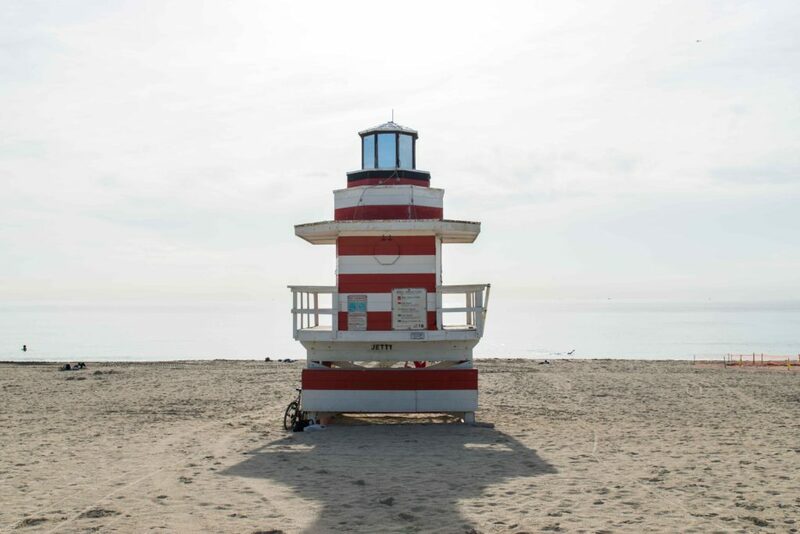 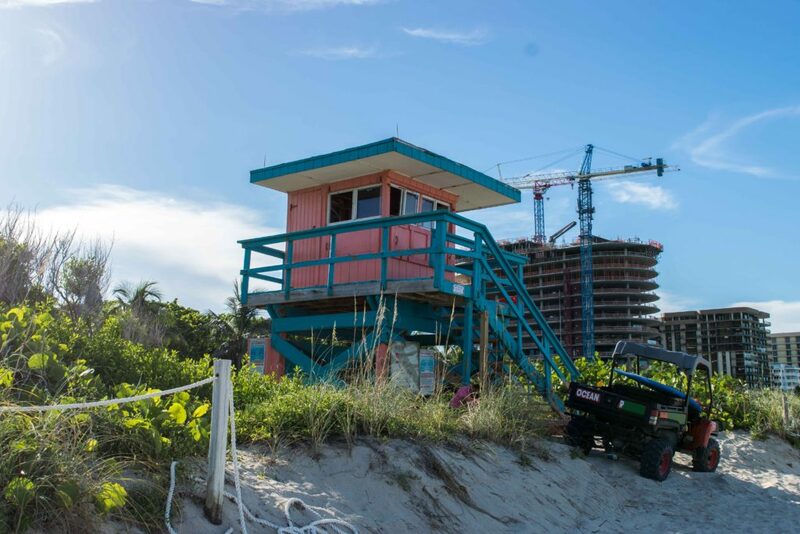 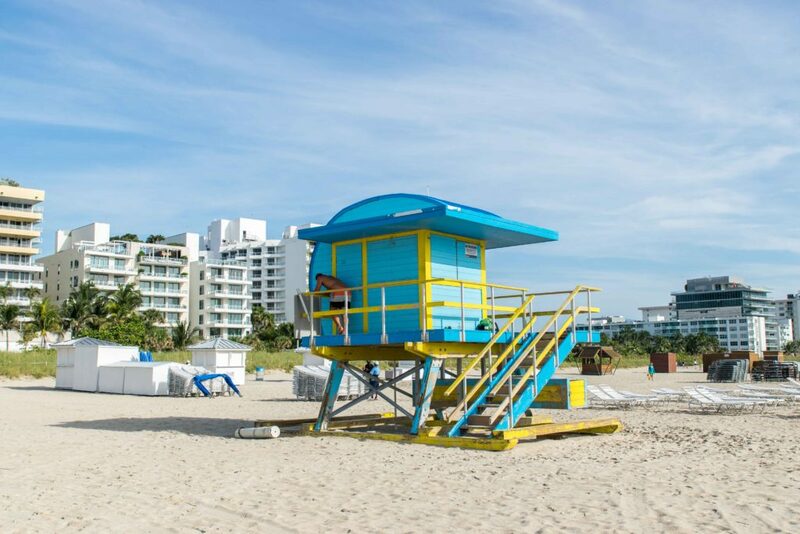 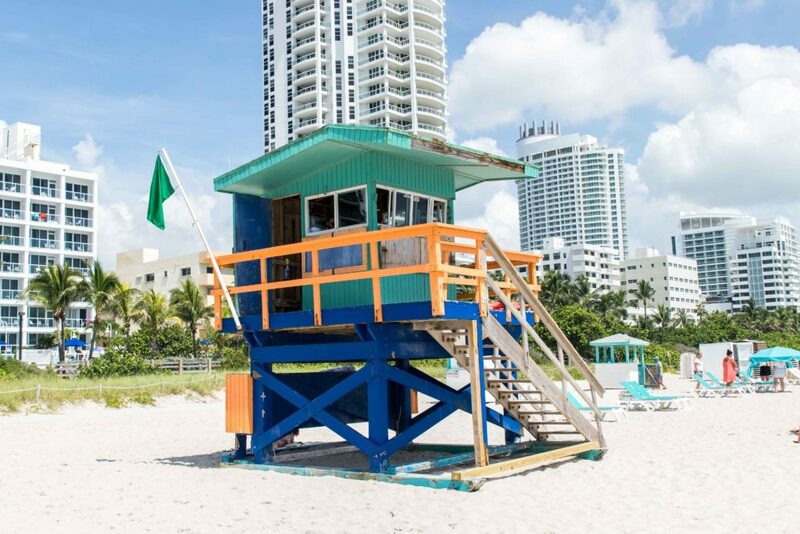 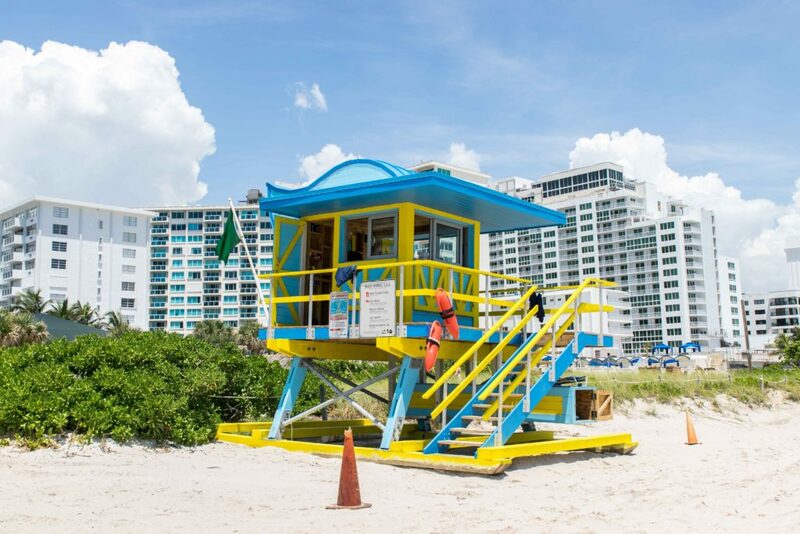 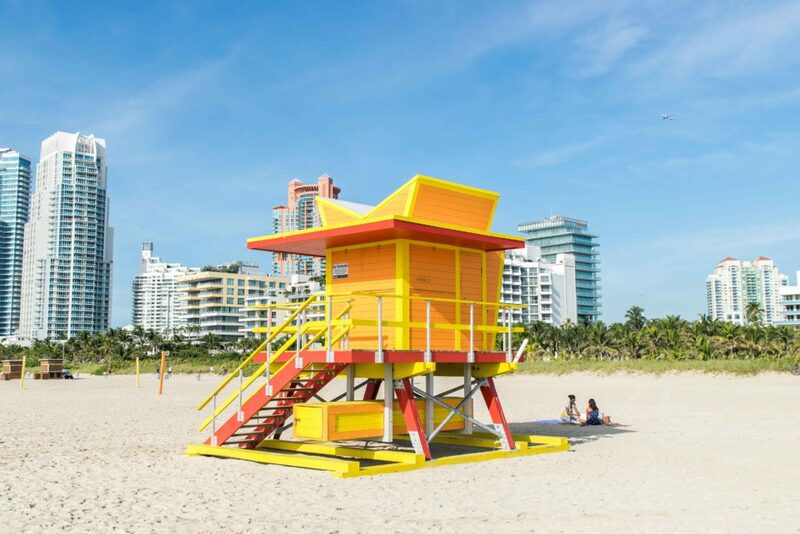 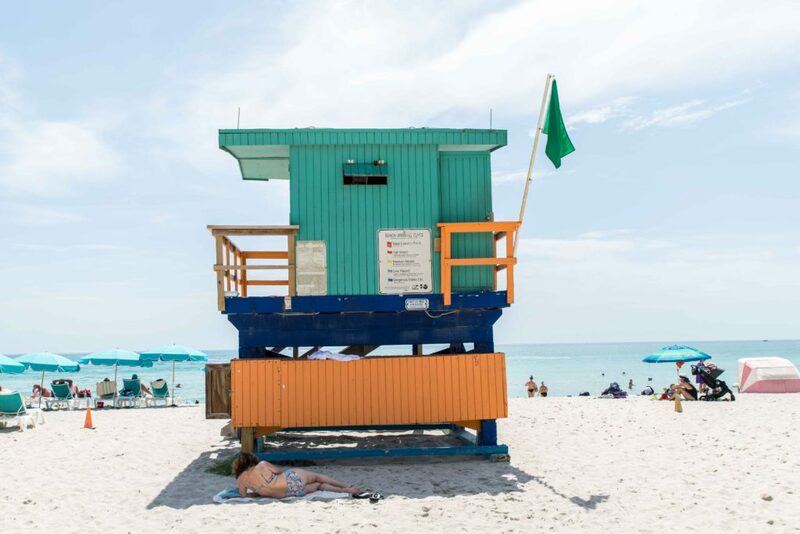 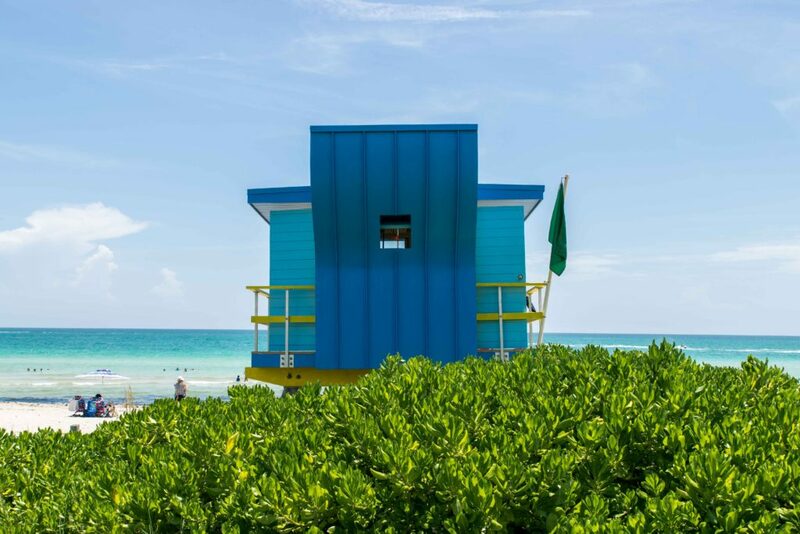 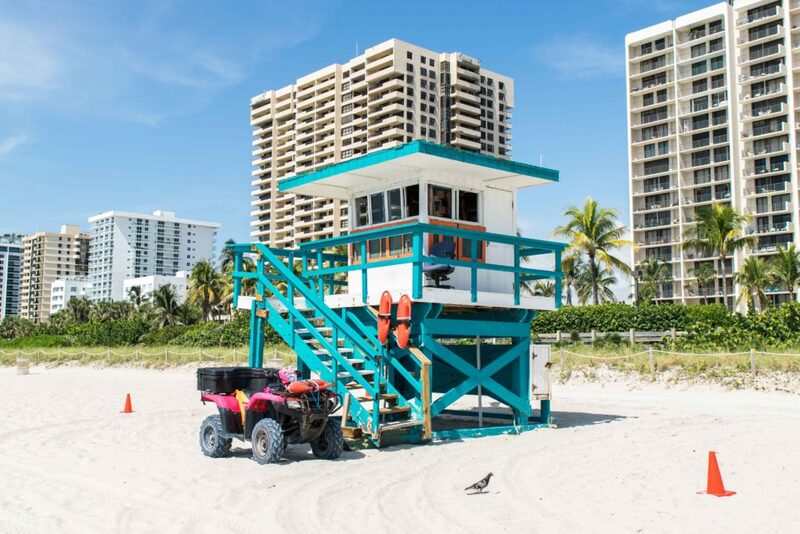 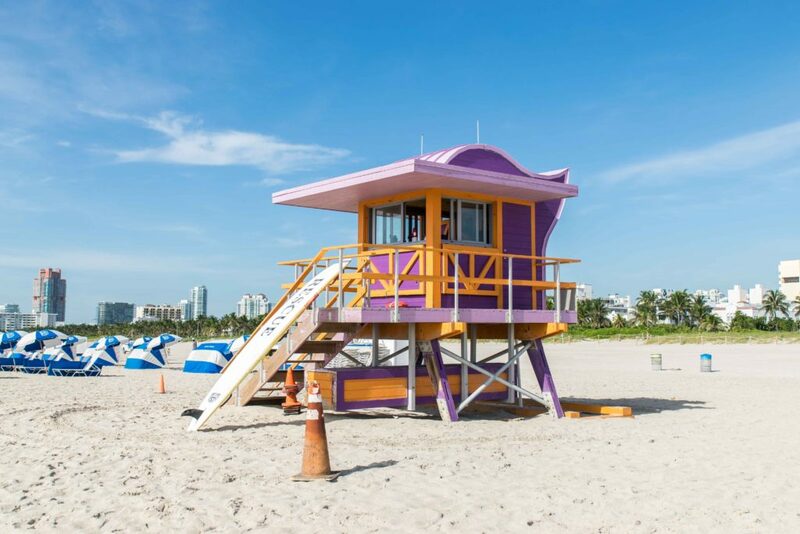 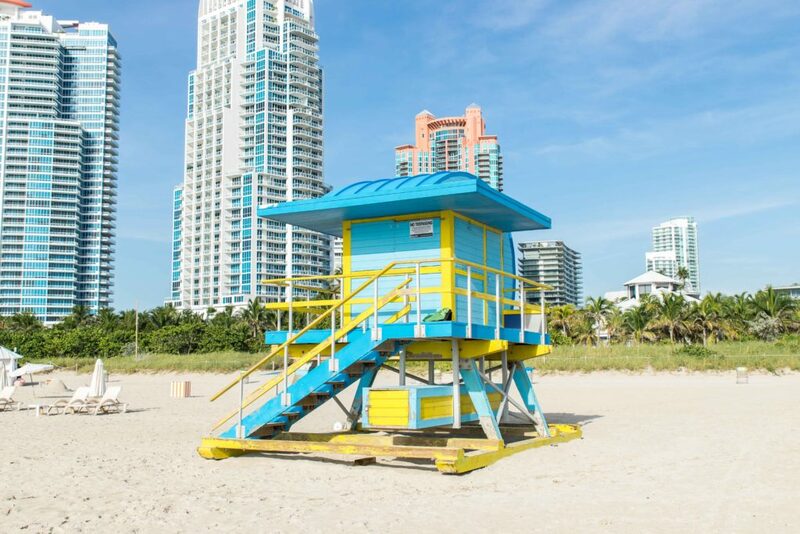 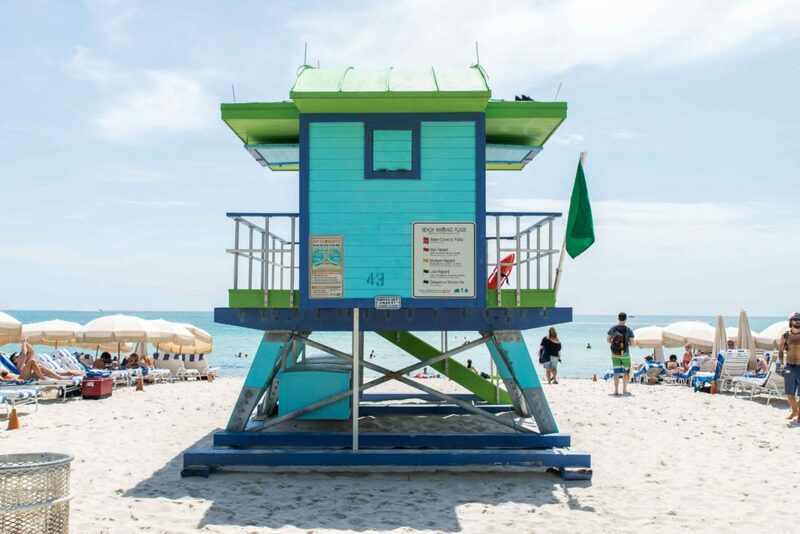 Follow the Lifeguard Towers Miami Beach Instagram account here! 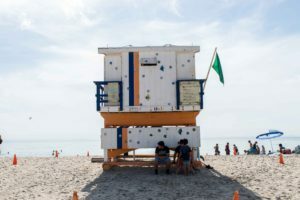 Awesome, thank you so much, I live here in North Beach on 78st and I saw them while the new ones were being built. 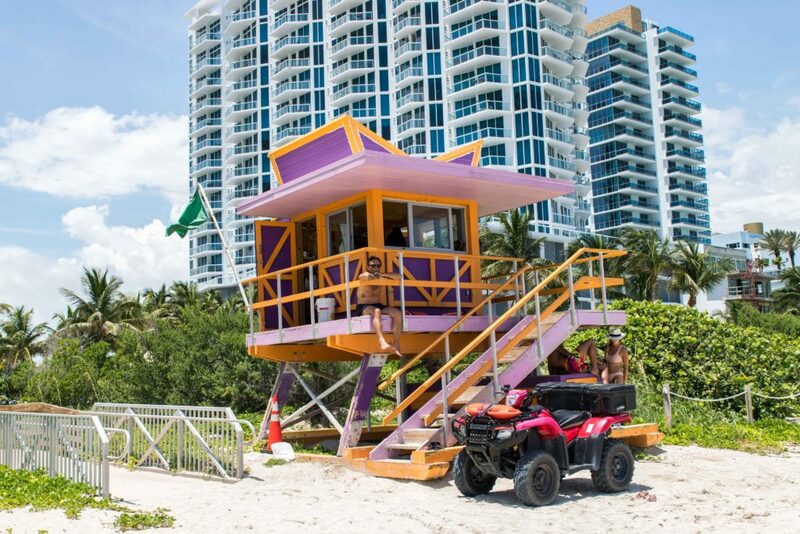 It’s wonderful that you were able to photographed some before they were replaced, very smart of you to keep them in chronological order. 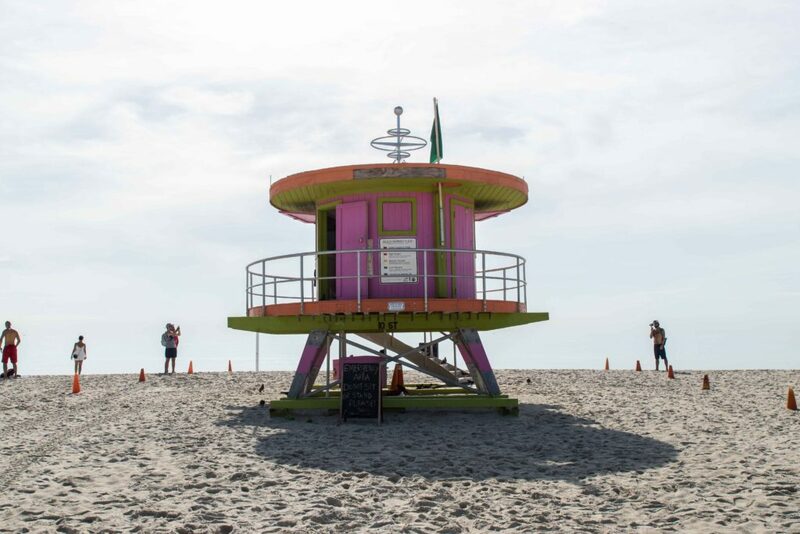 They are beautiful shots, i love that you captured them from different angles, thank you .